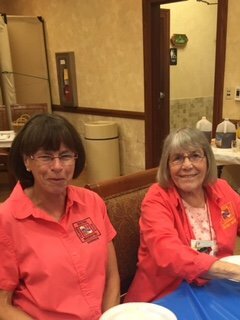 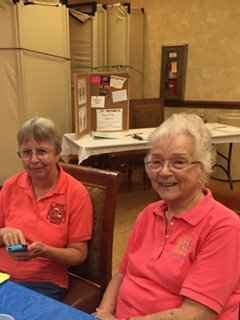 Co- Presidents: Donna L. and Barb K.
(Member at Large): Pat A.-Y. 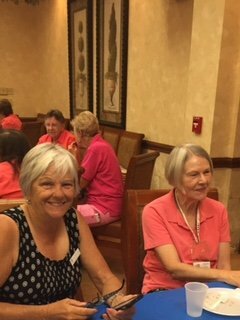 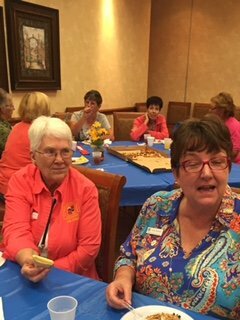 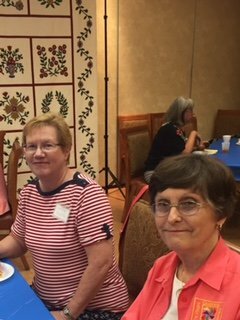 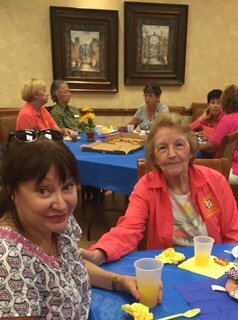 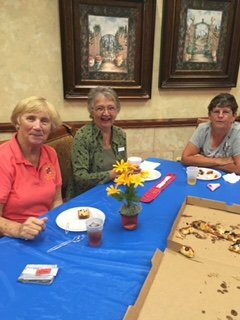 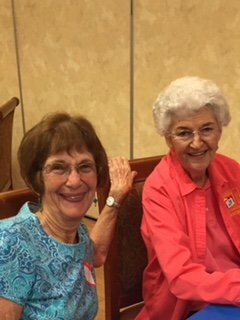 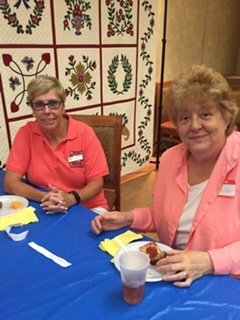 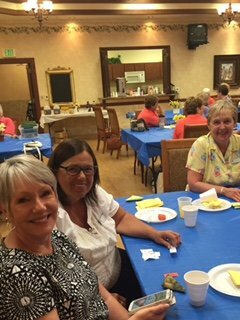 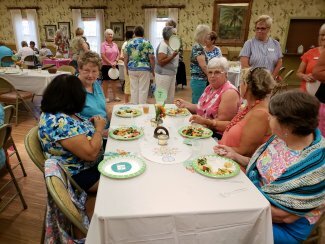 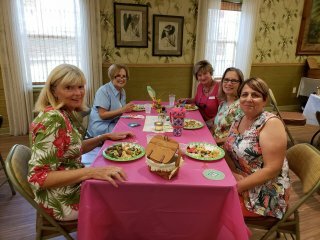 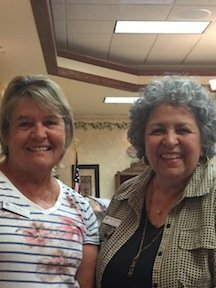 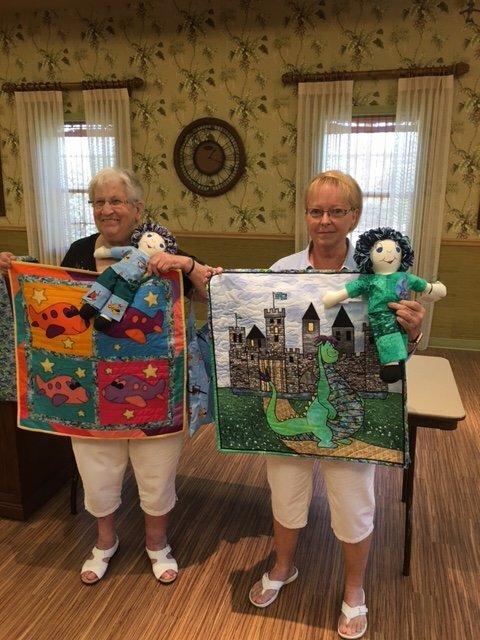 Chapter Programs: JoAnn B. and Linda M.
Charity: Cathy R and Pat A.-Y. 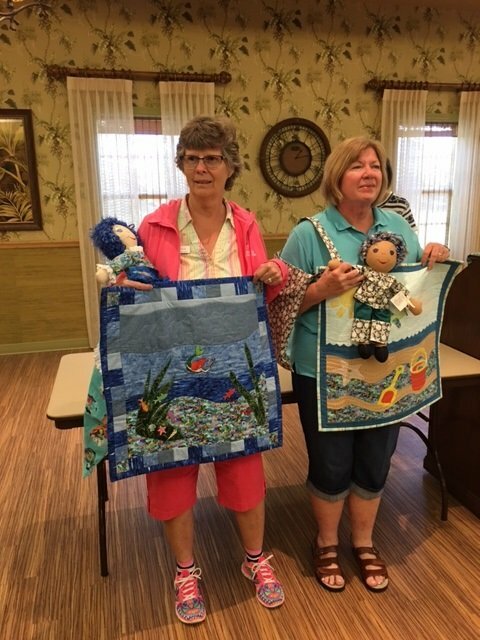 Fund Raising: Sherry D. Vickie, Barbie B. 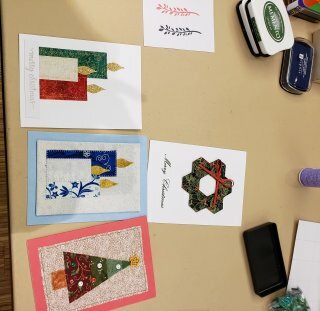 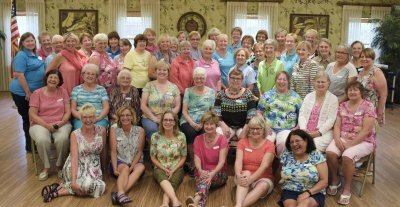 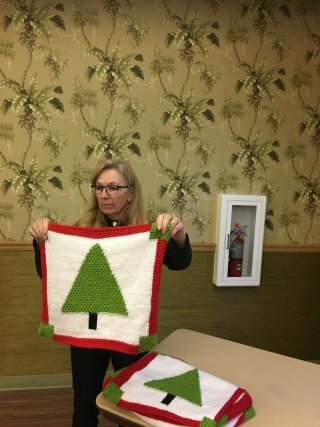 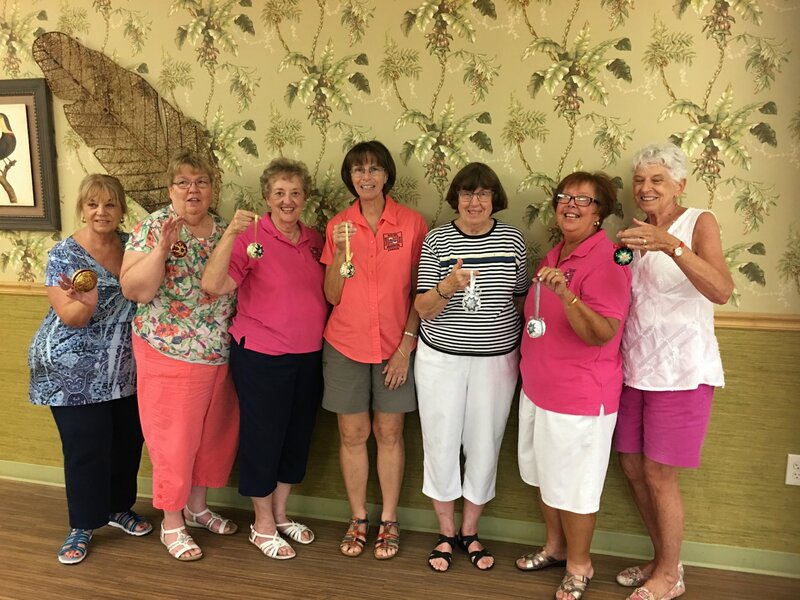 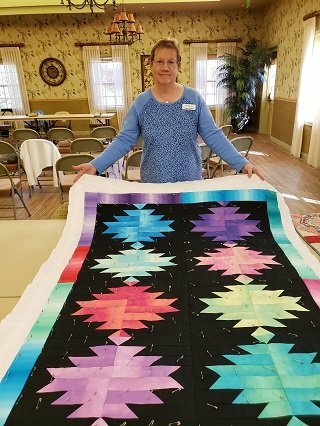 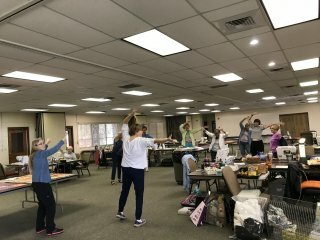 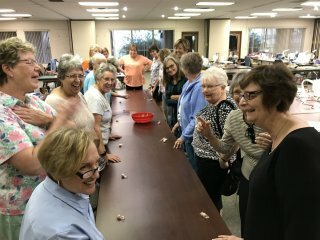 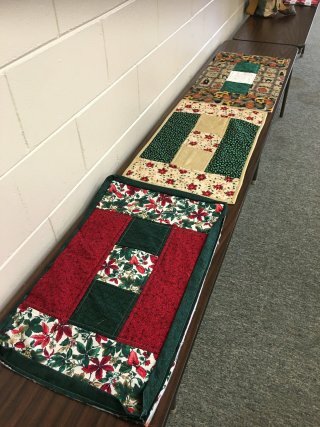 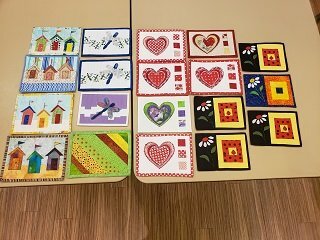 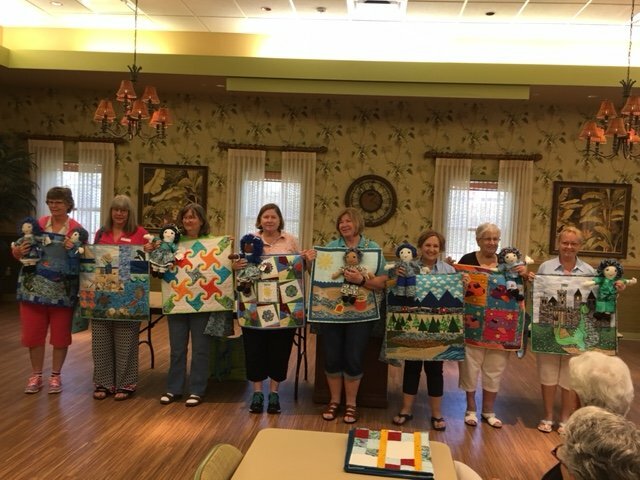 Guild Programs: Dawn T. and Jennifer L.
2020 Guild Market Place: Donna B. and Barb P.
Membership: Marie P. and Doris L.
Retreat November: Doris L, Marie P, Robbie G, Lynne T.
Shop Hop: Lynne T. and Robbie G.
Social: Carol N. and Pat A. 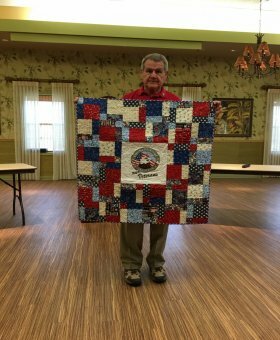 May 7th Guild Meeting, 7:00 PM at Laurel Manor: featuring Terry Atkinson Terry's Shortcuts and Stories. 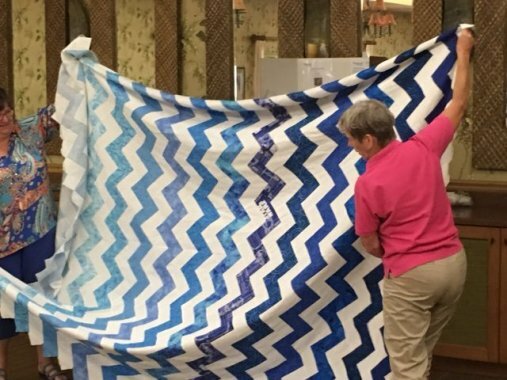 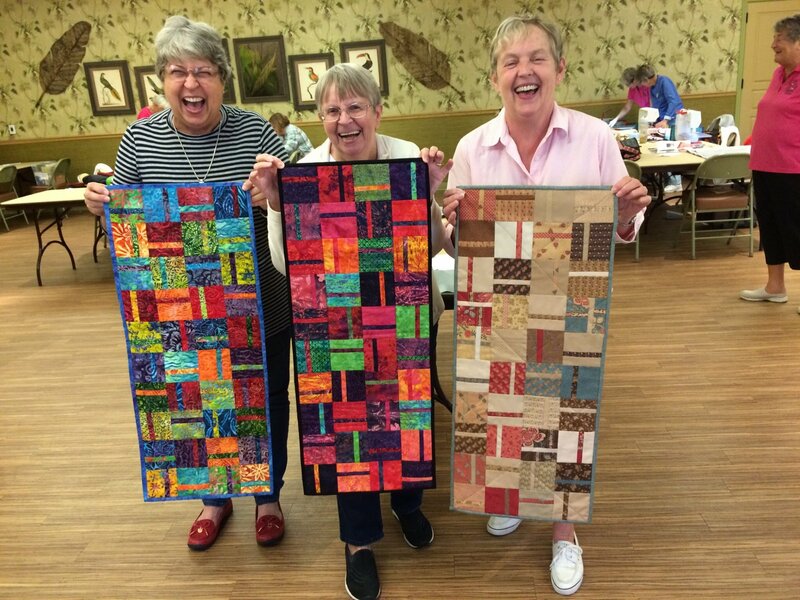 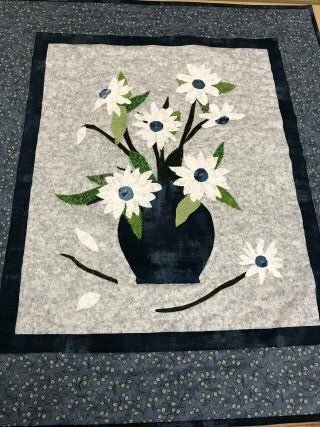 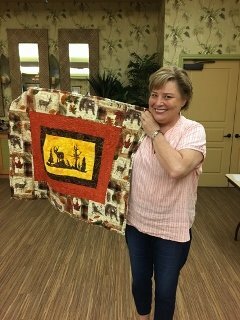 April 16th - Jelly Roll Rug Class Part II - taught by Linda H. Click below for details. 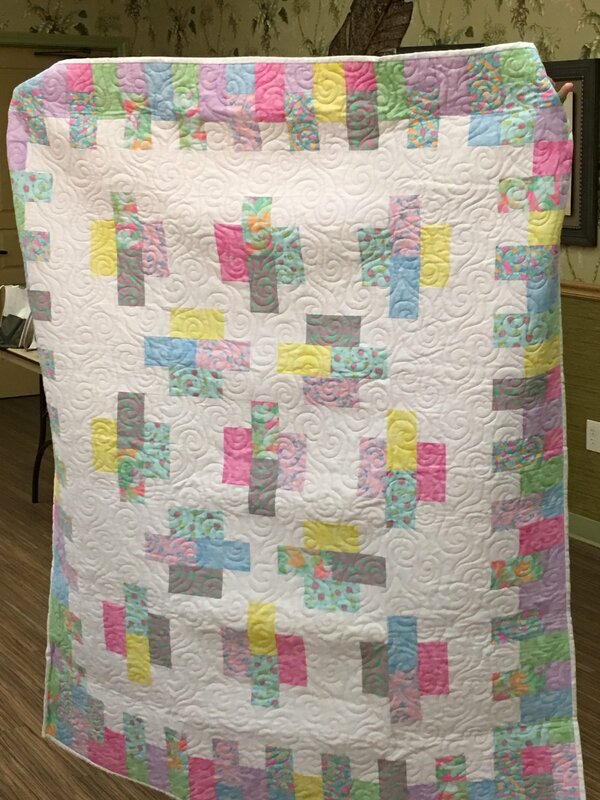 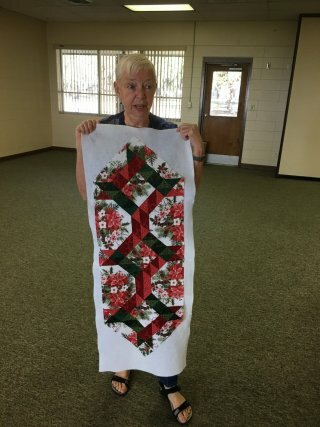 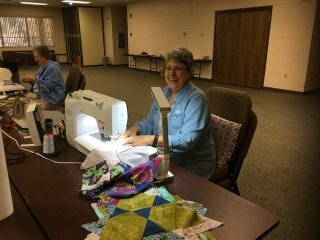 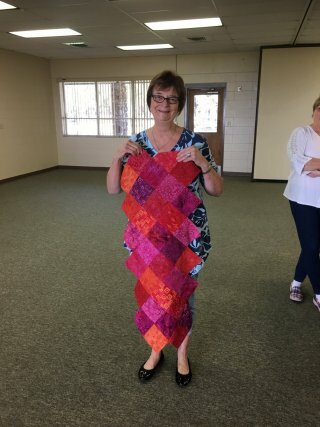 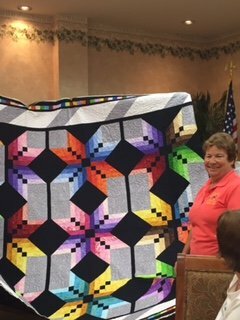 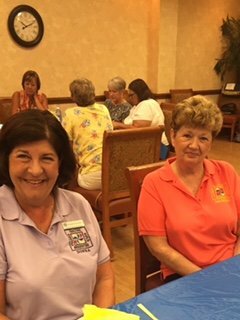 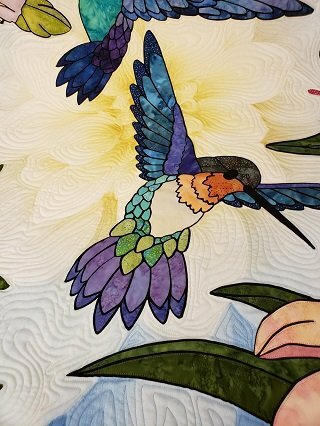 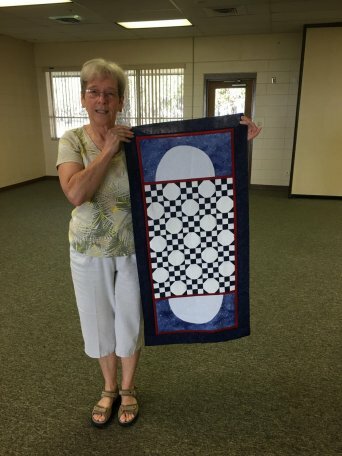 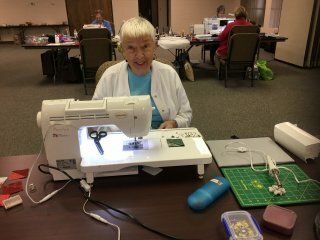 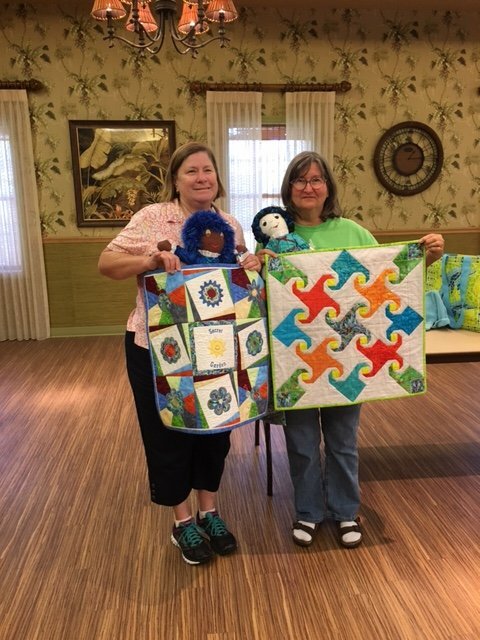 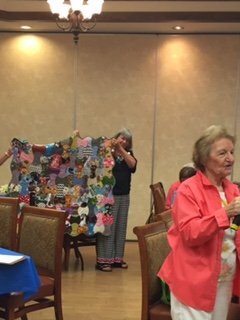 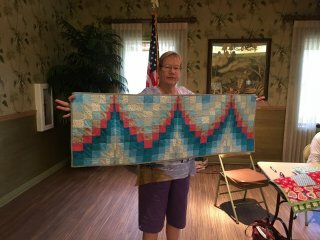 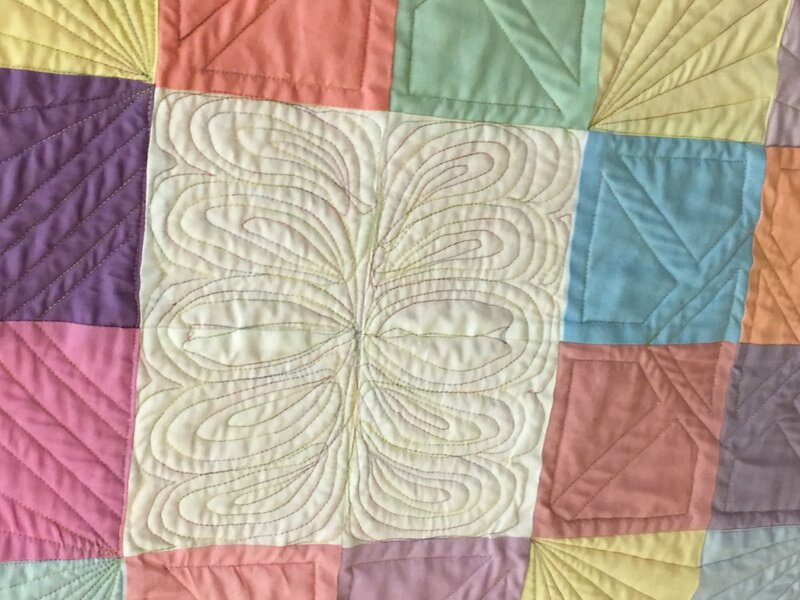 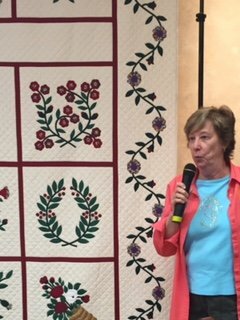 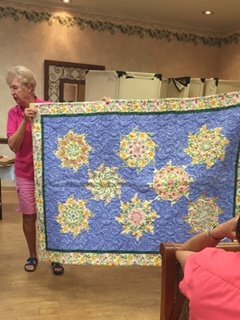 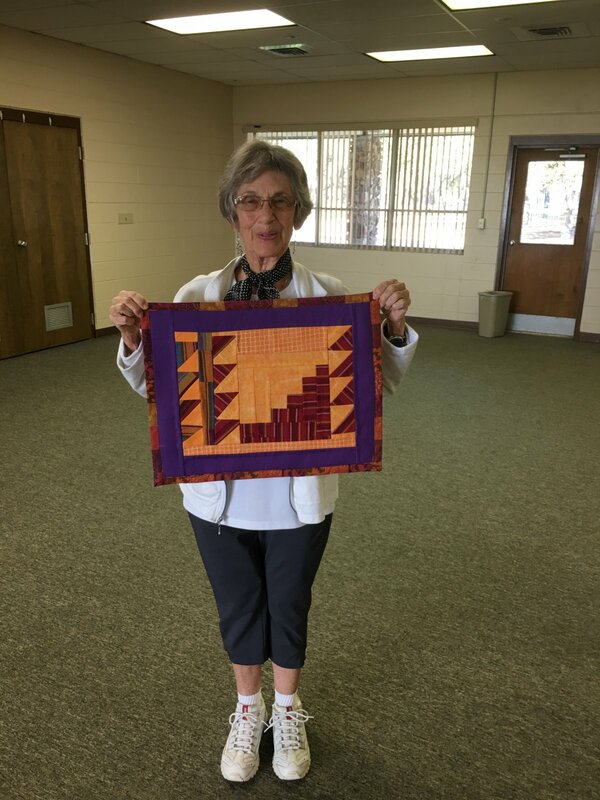 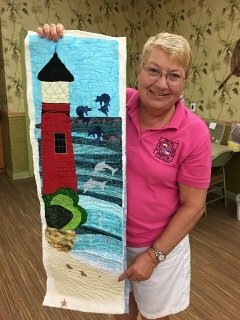 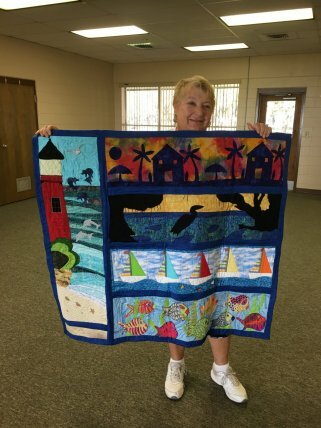 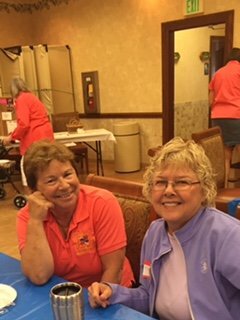 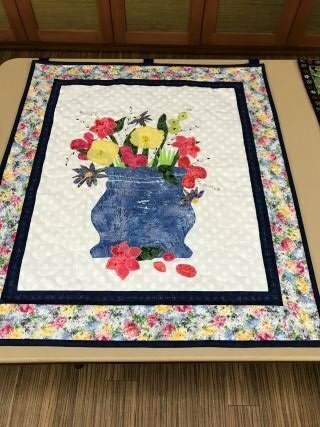 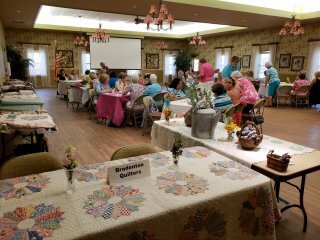 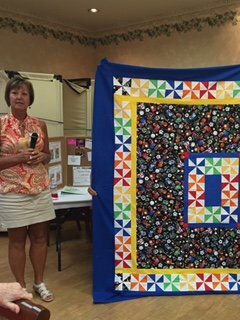 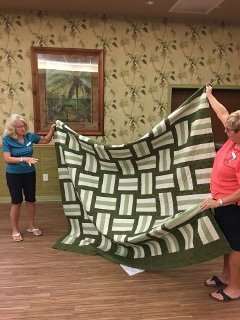 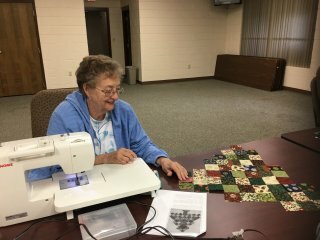 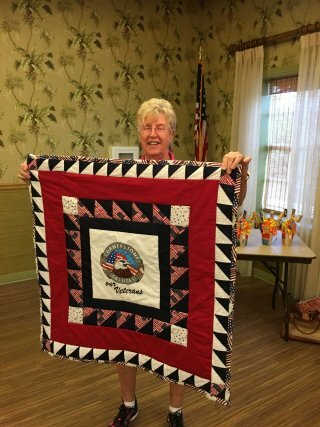 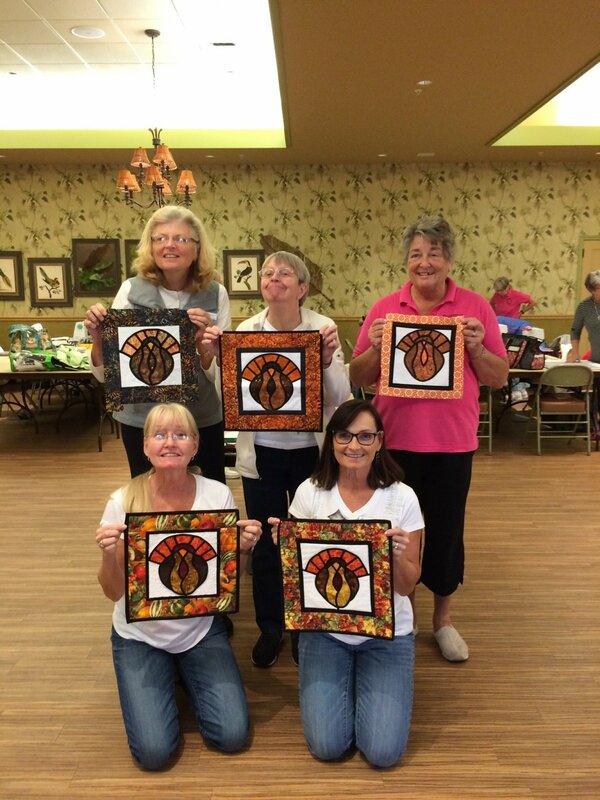 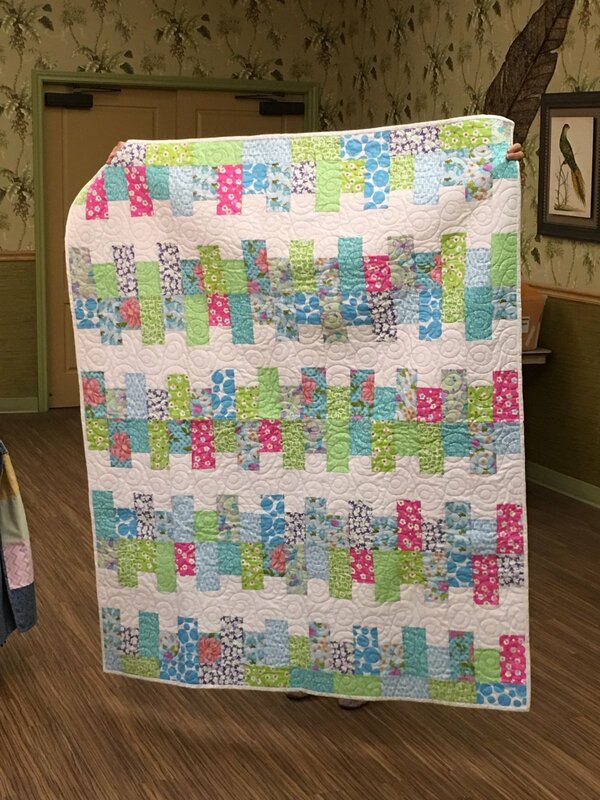 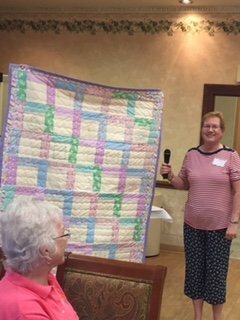 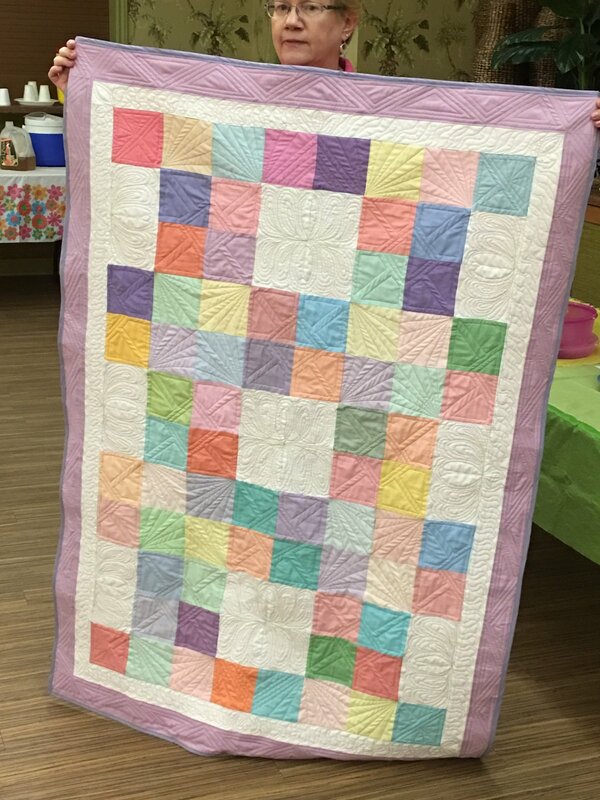 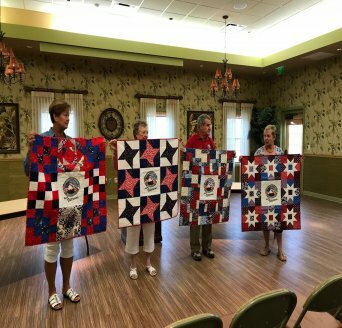 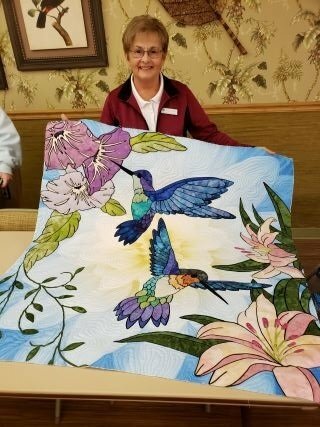 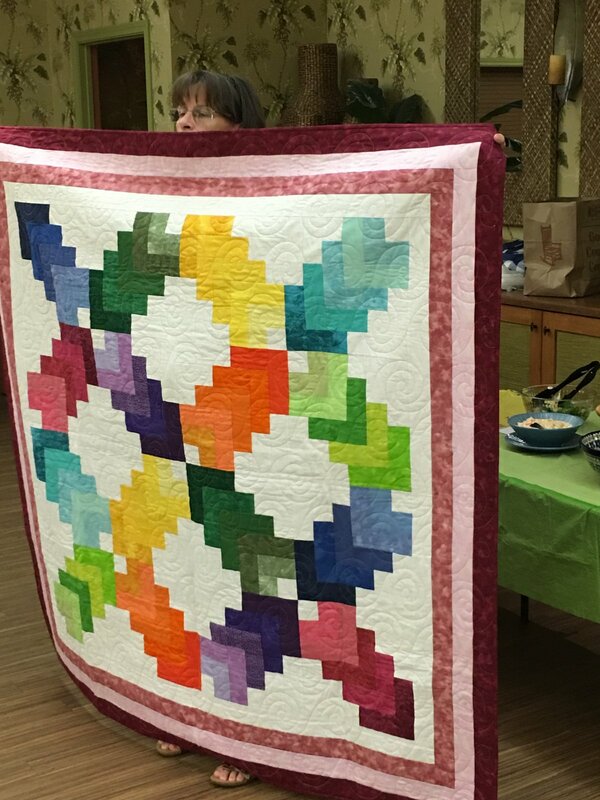 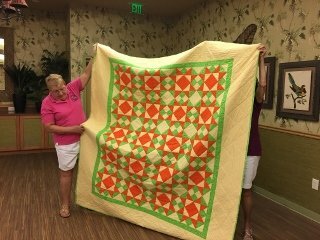 April 9th - Meet at Bradenton Rec Center at 7:15 AM - Dade City - "Quilted Twins" and Quilts on Plum Lane"
Rec Center 1:00 PM. 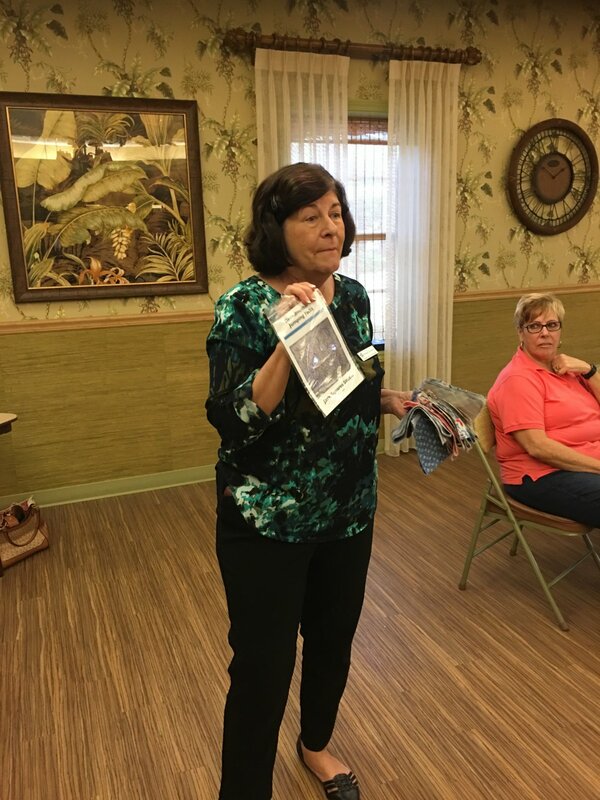 Be sure to sign up at one of our meetings. 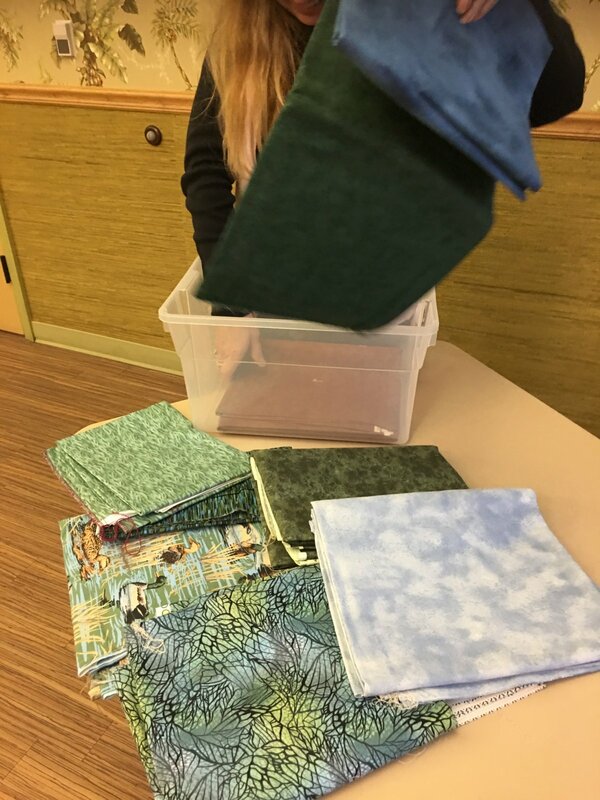 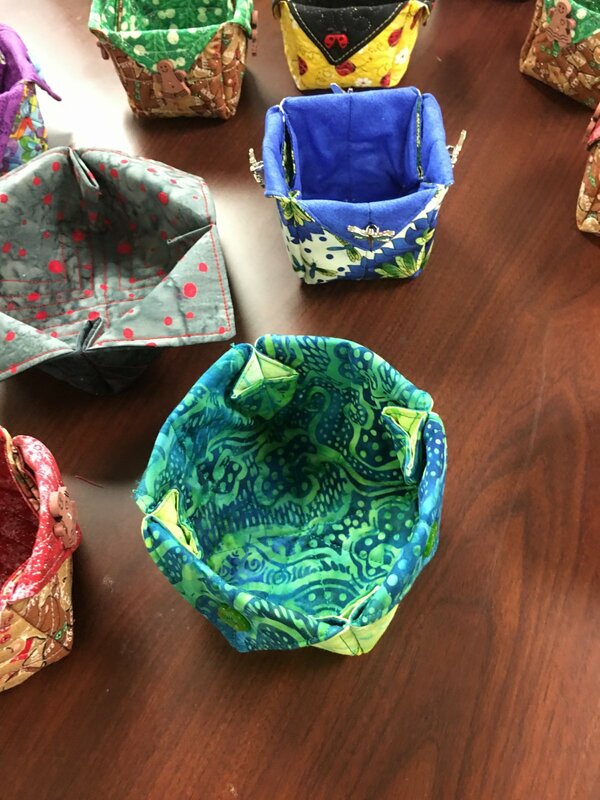 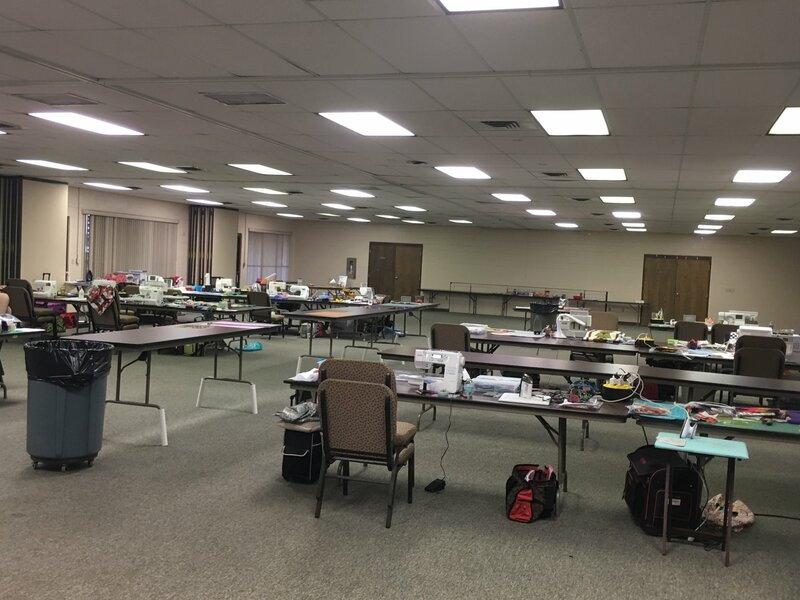 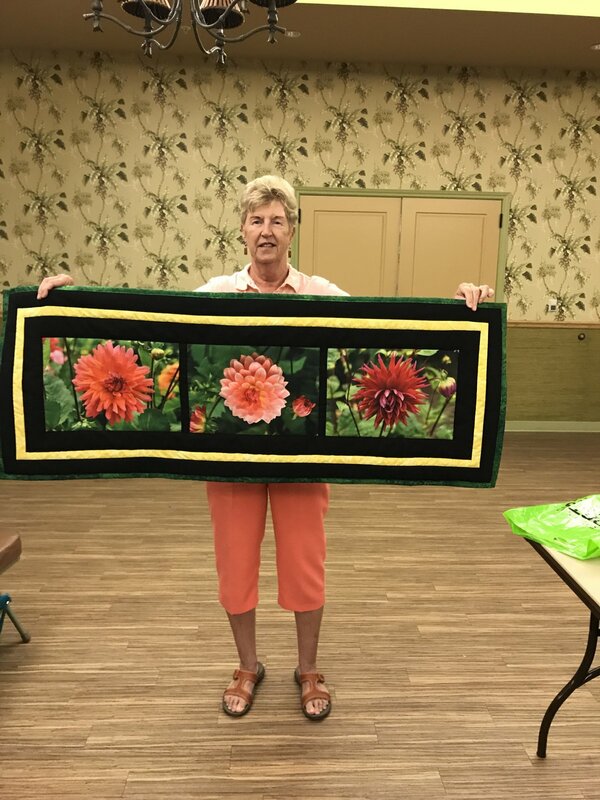 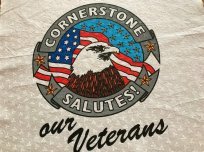 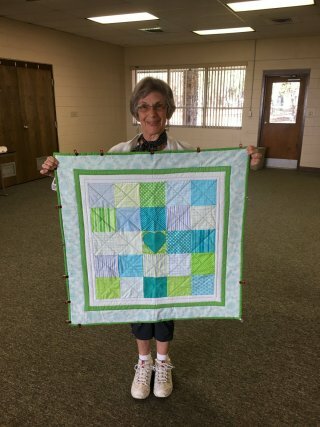 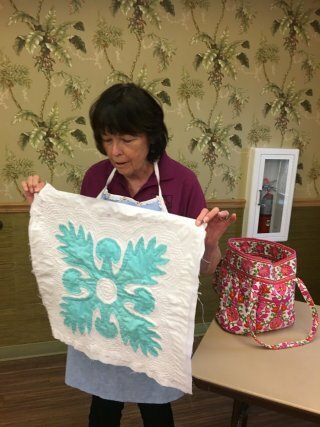 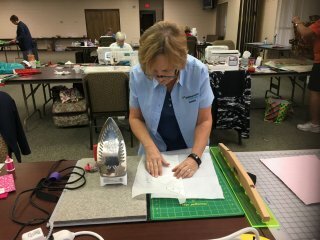 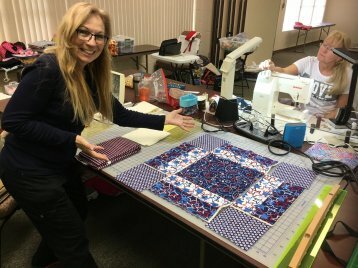 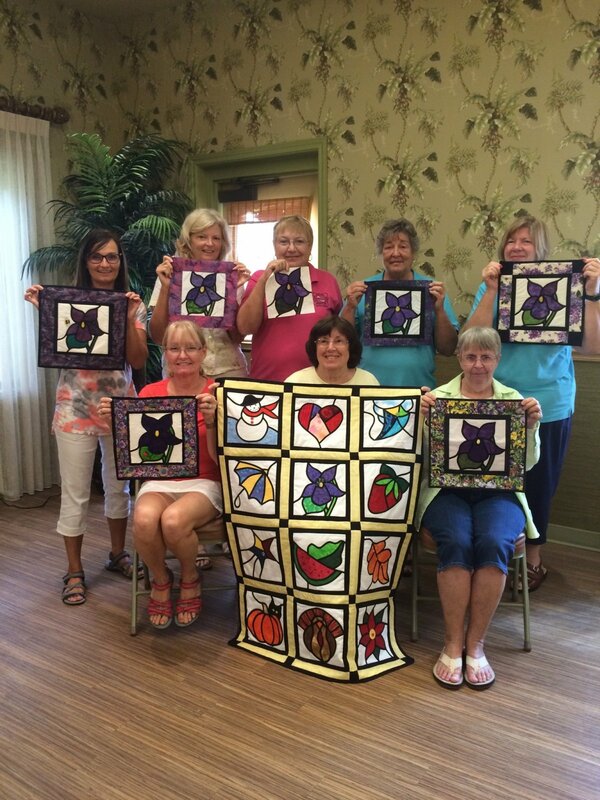 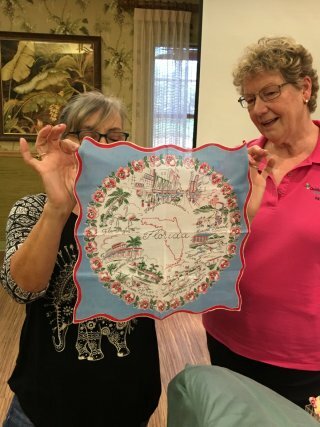 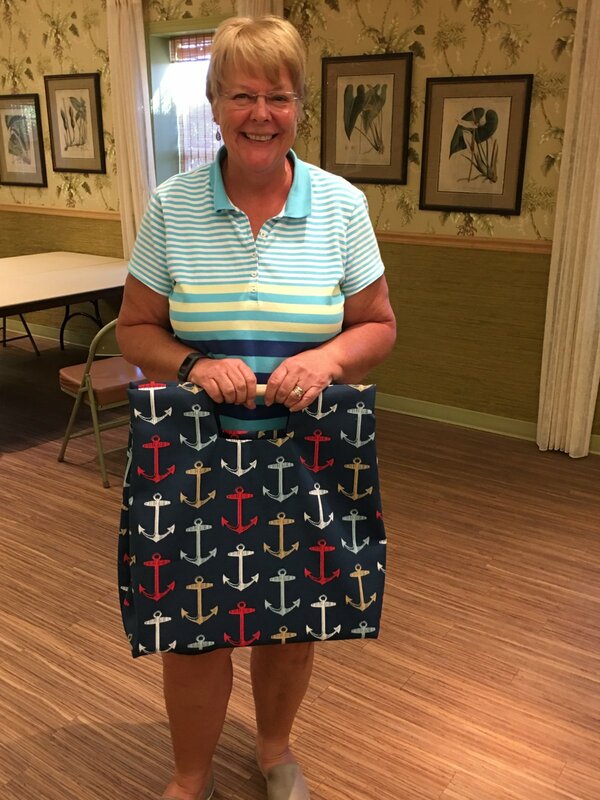 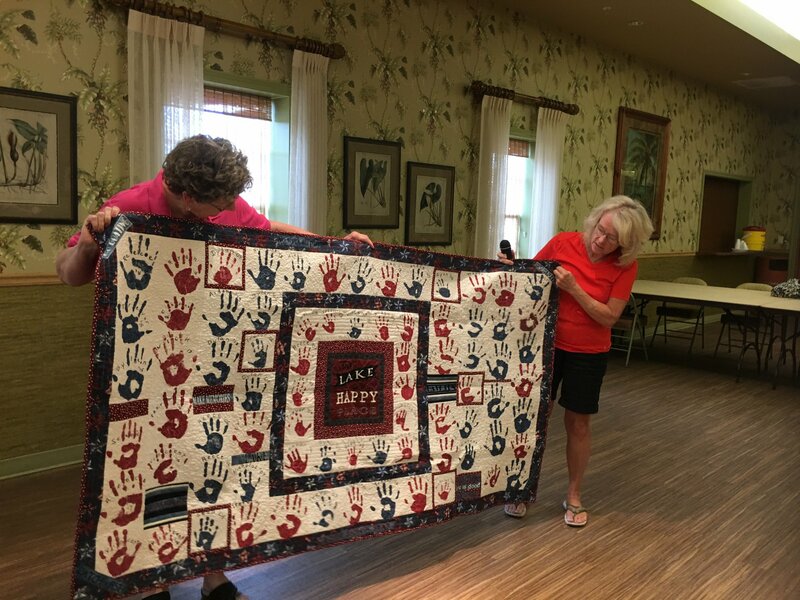 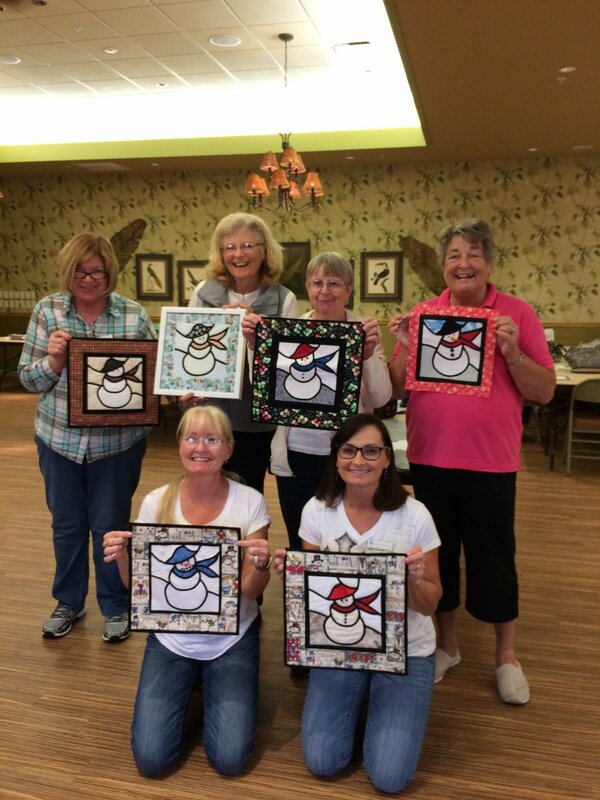 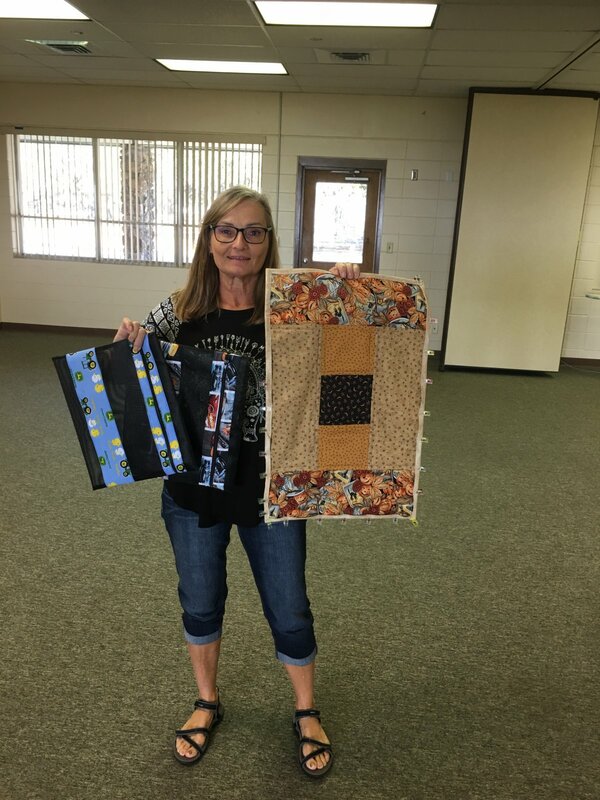 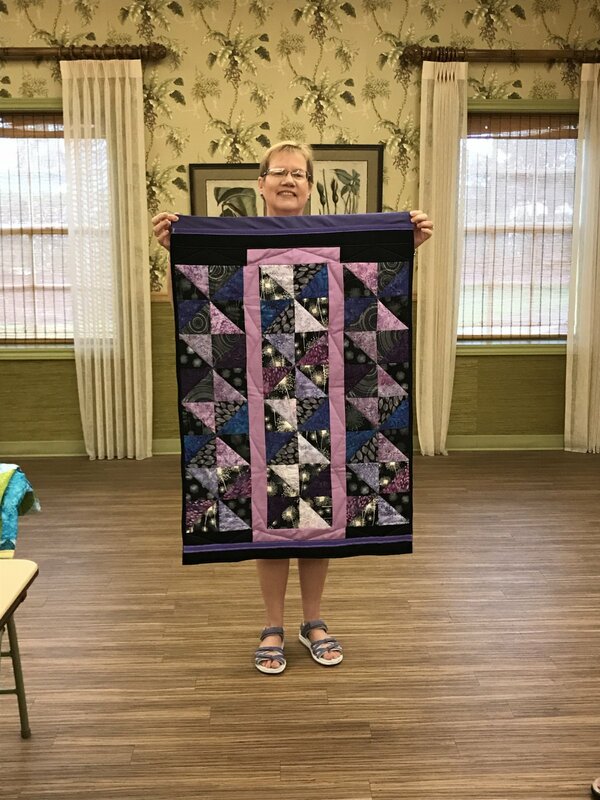 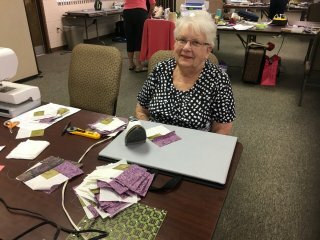 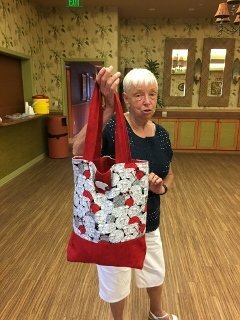 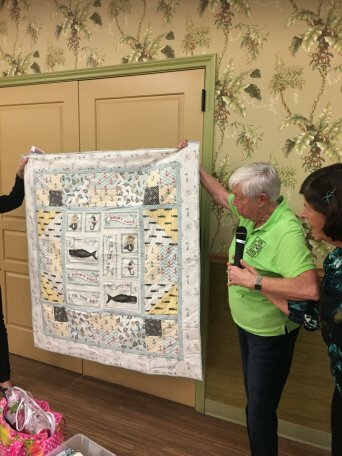 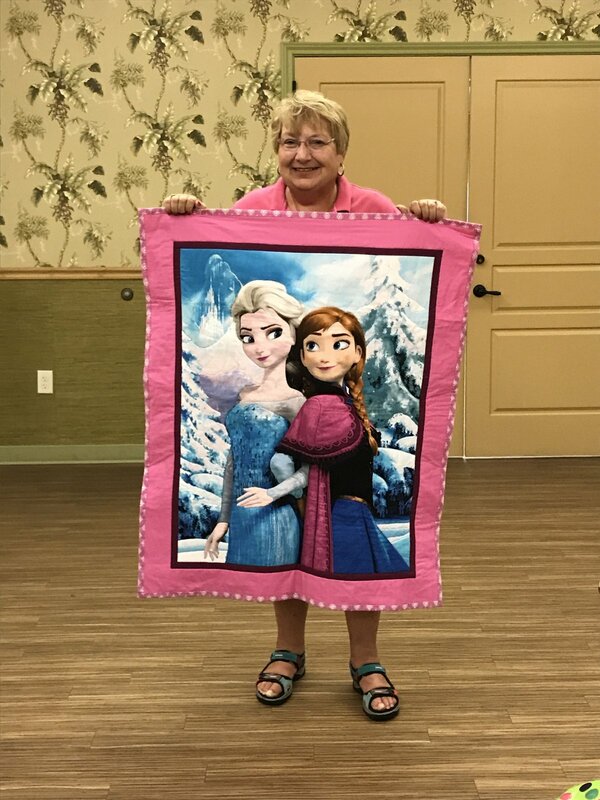 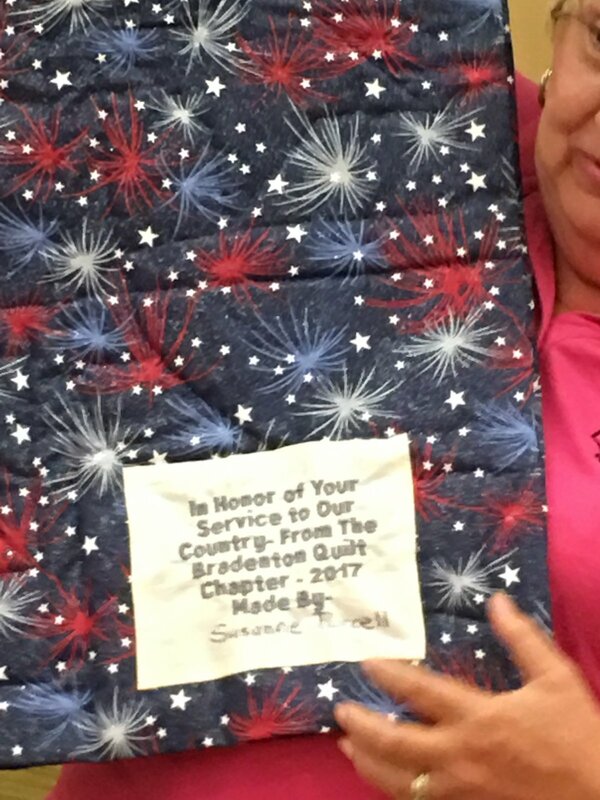 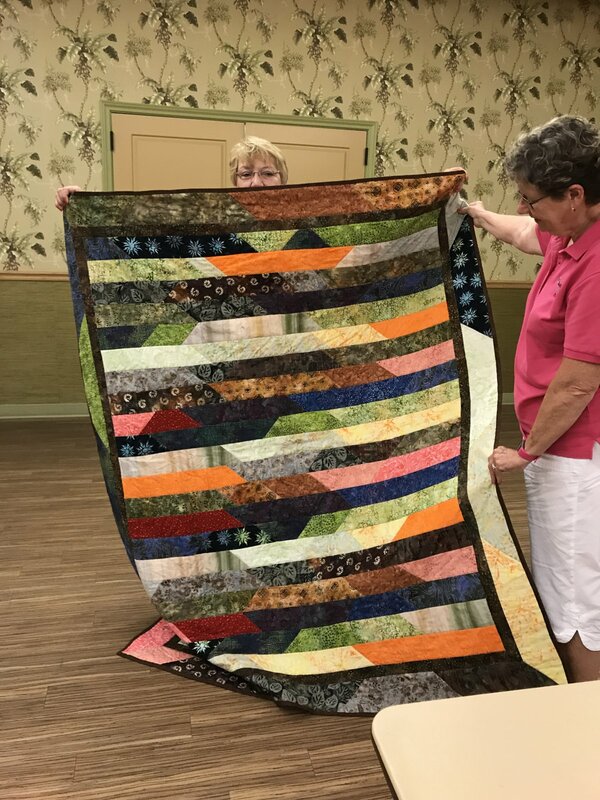 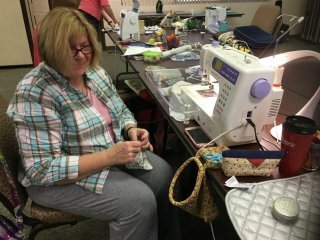 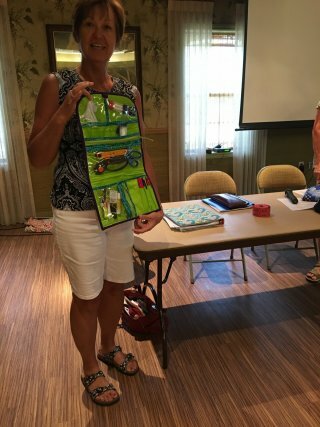 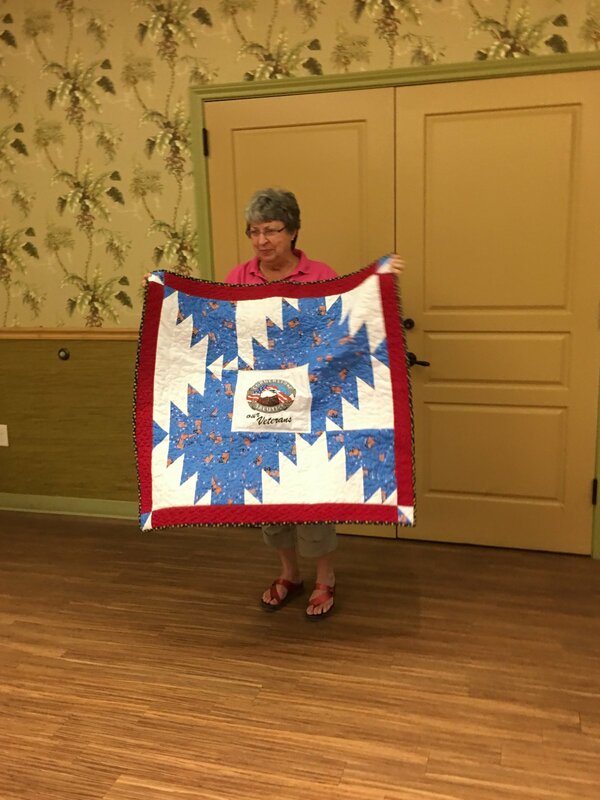 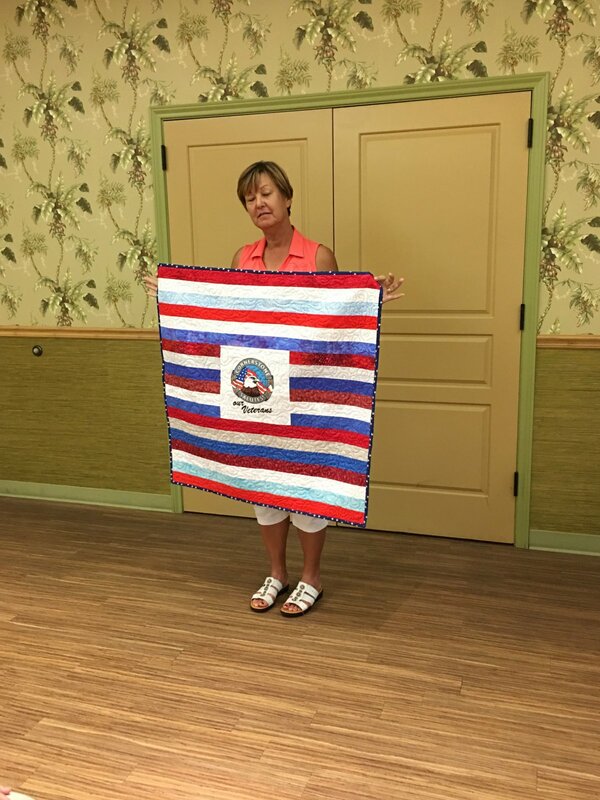 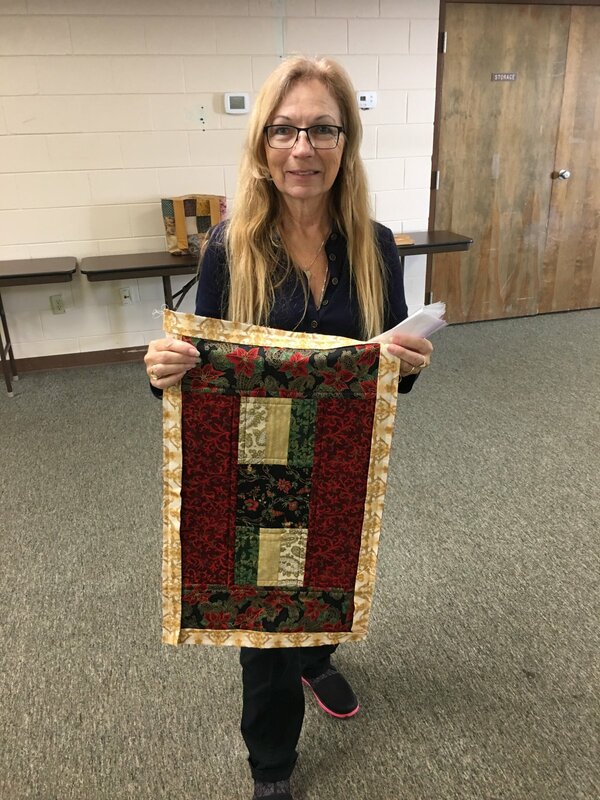 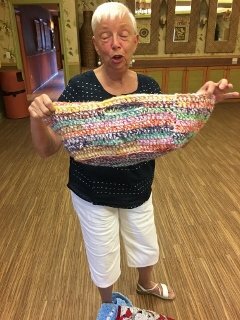 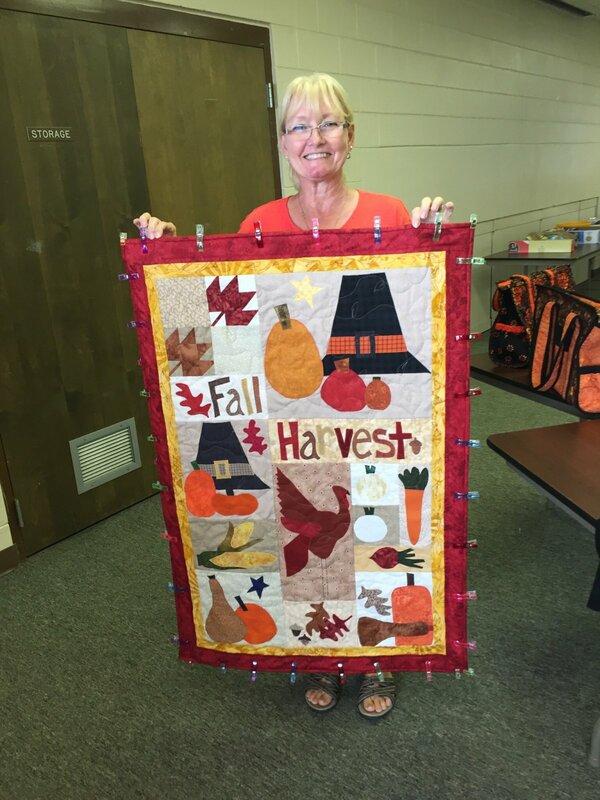 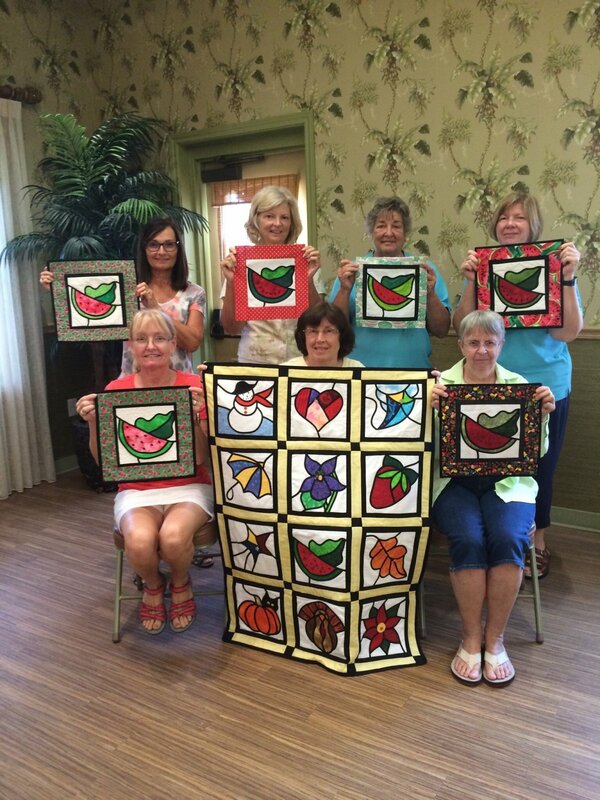 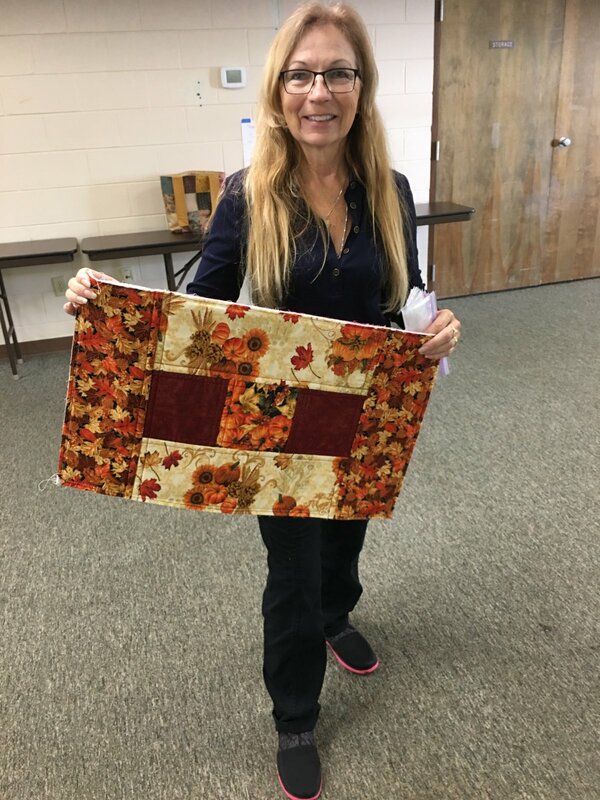 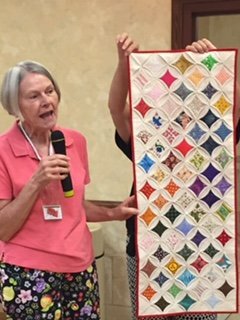 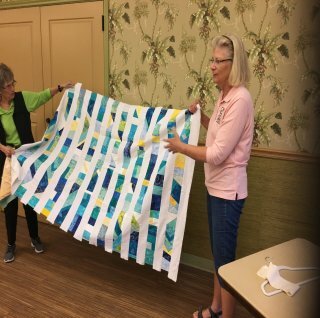 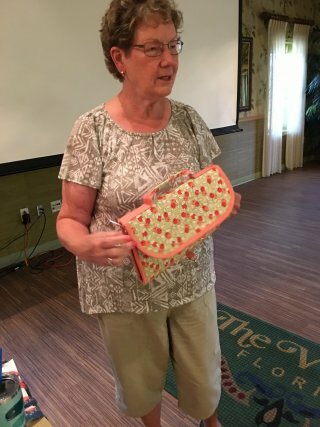 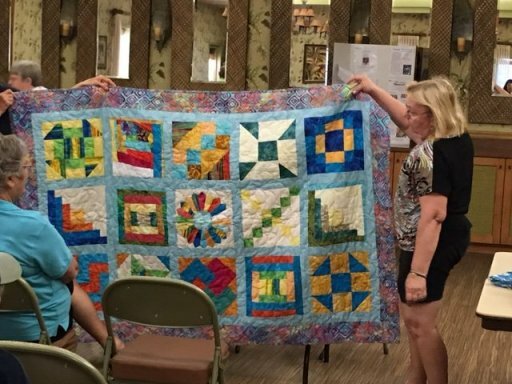 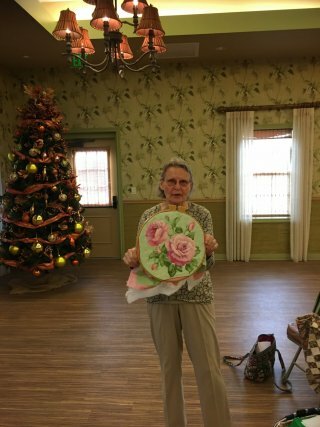 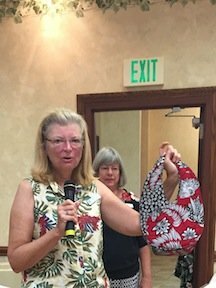 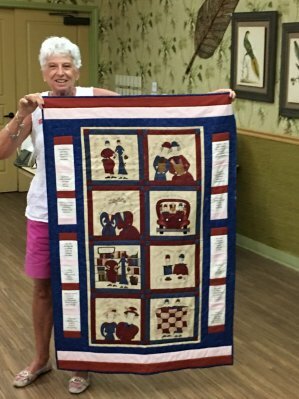 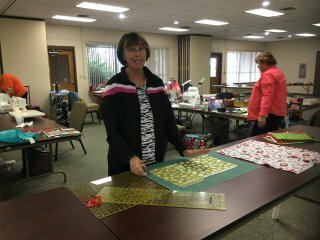 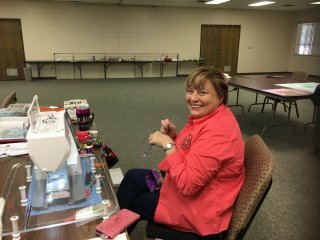 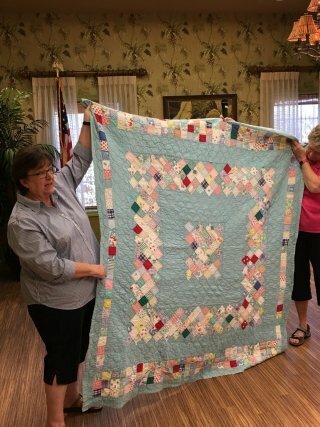 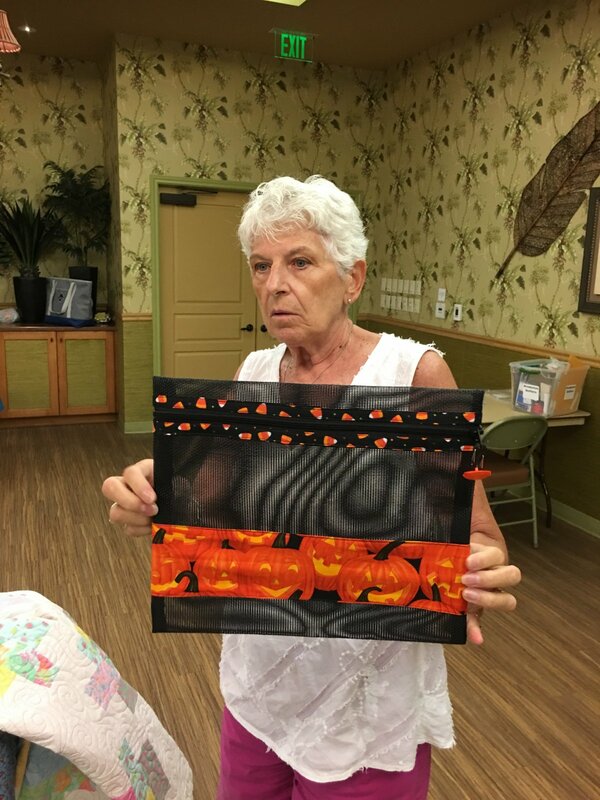 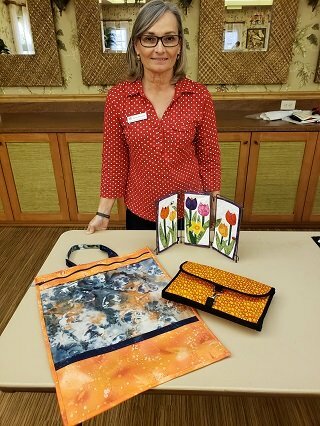 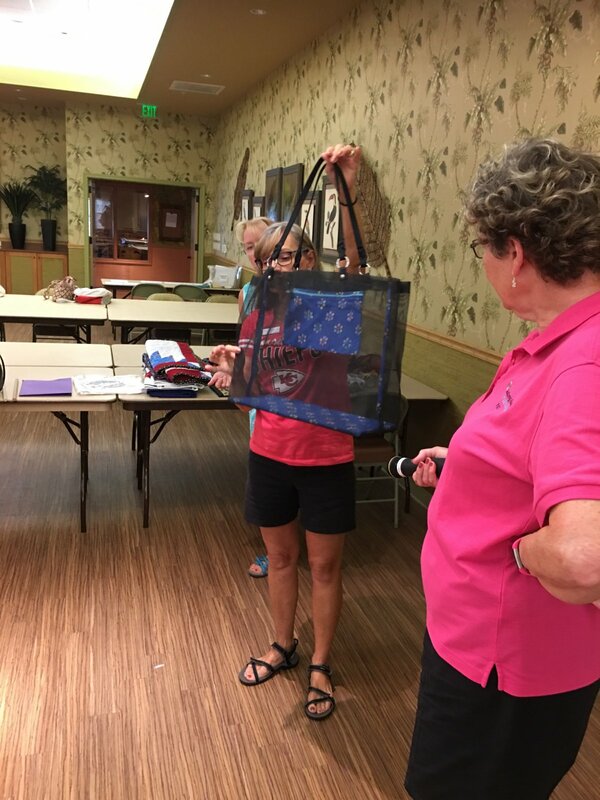 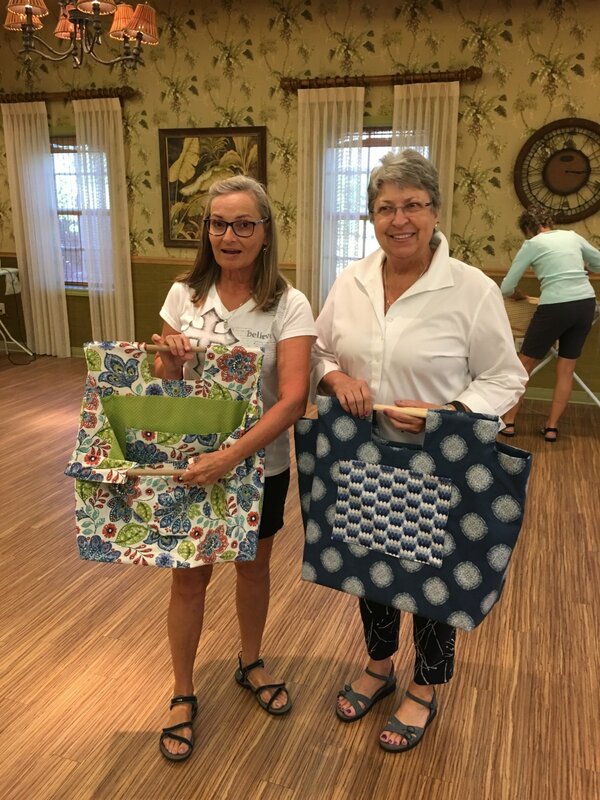 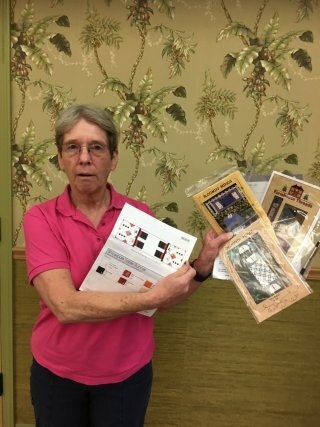 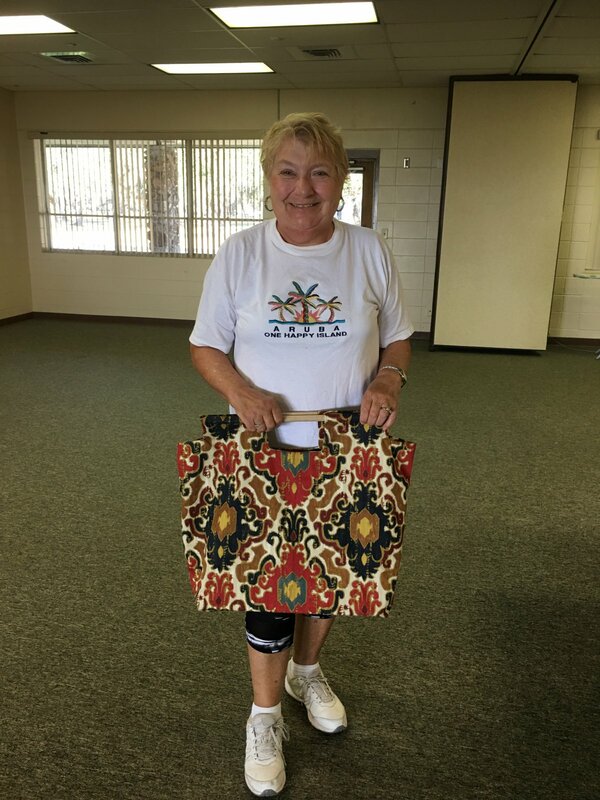 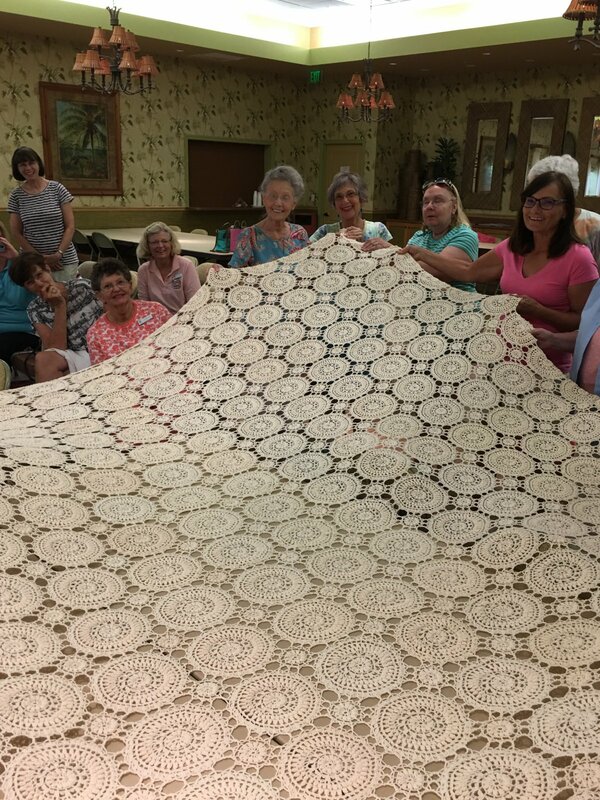 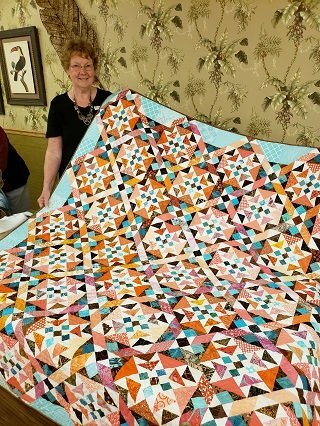 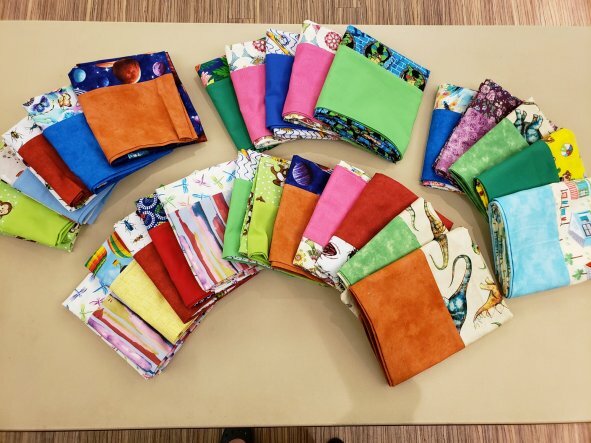 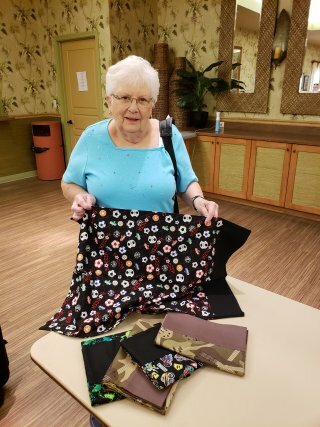 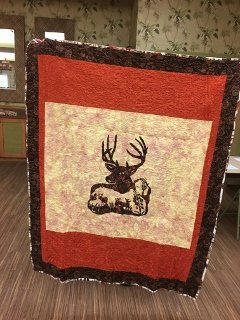 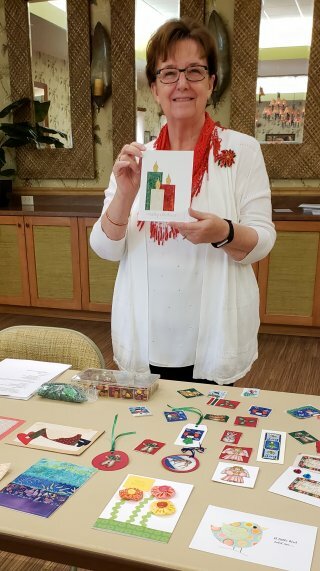 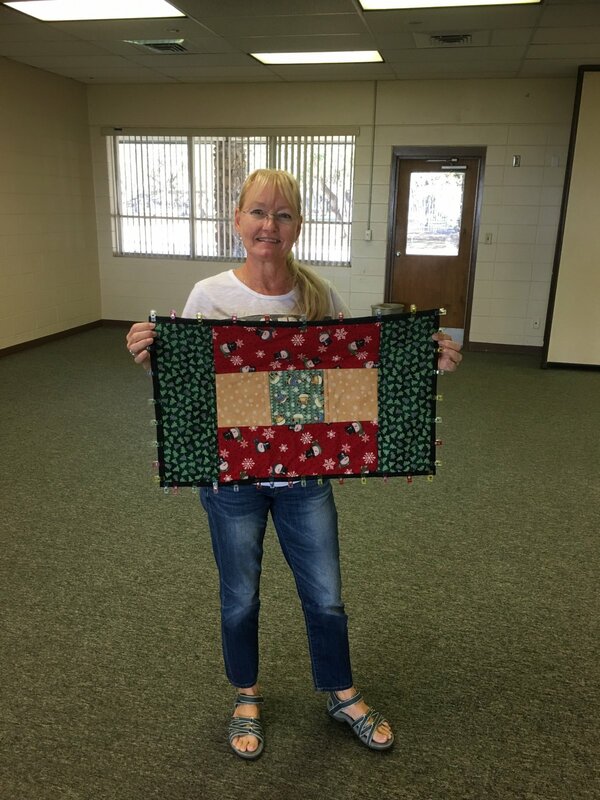 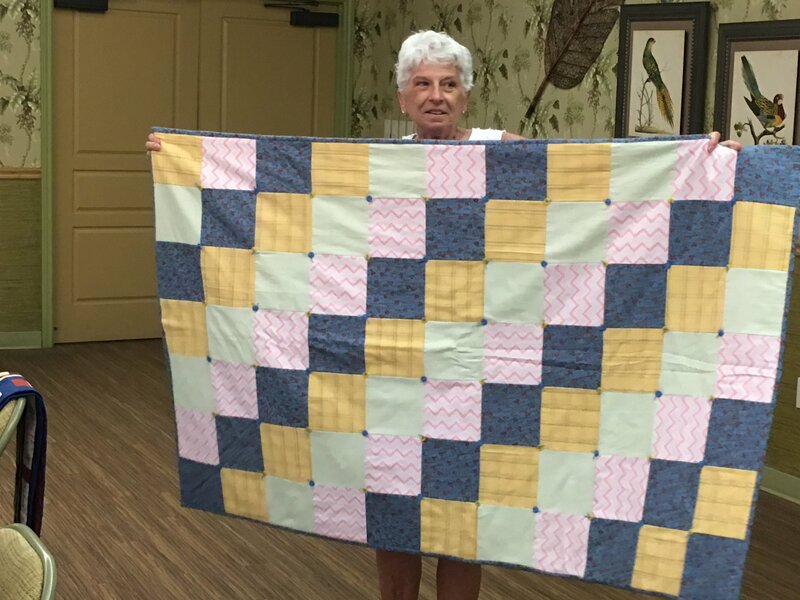 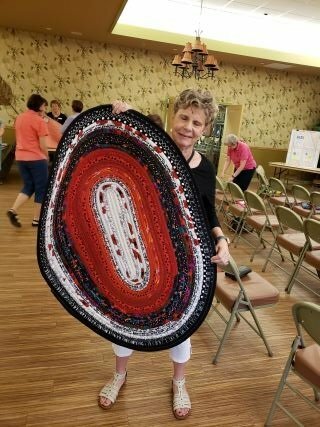 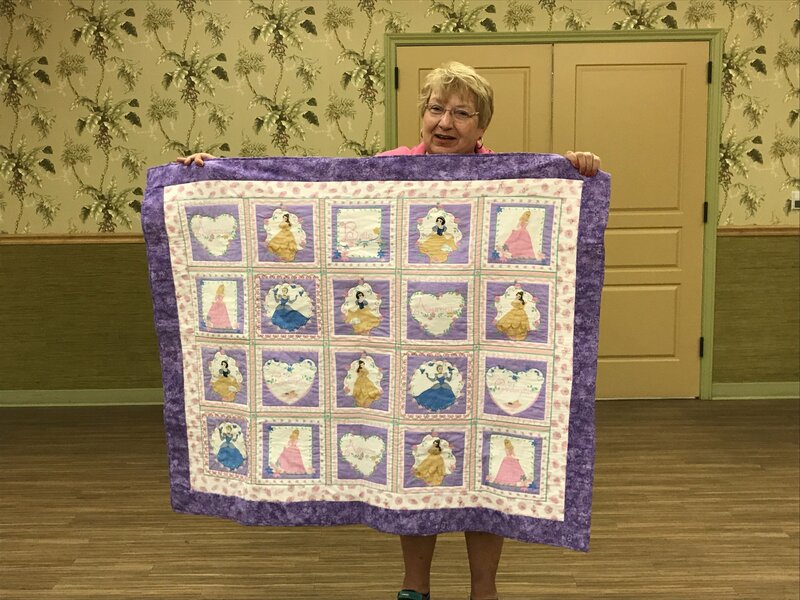 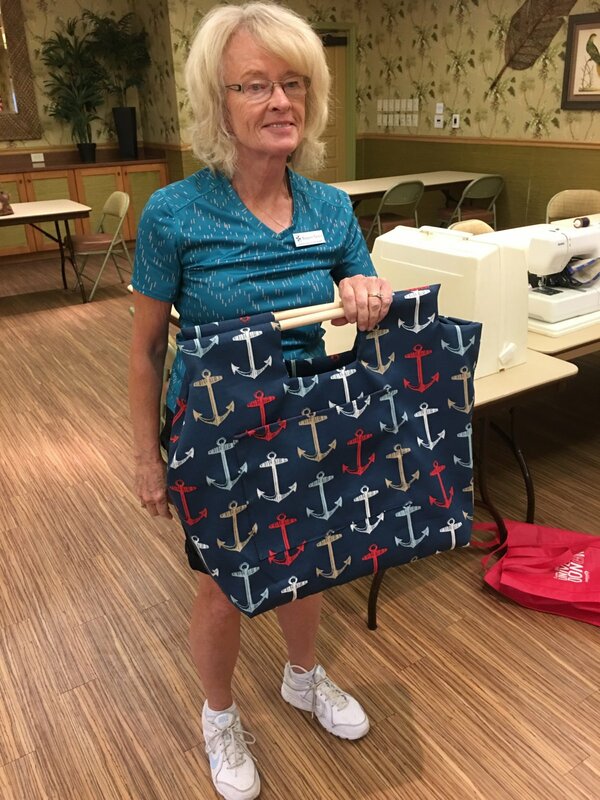 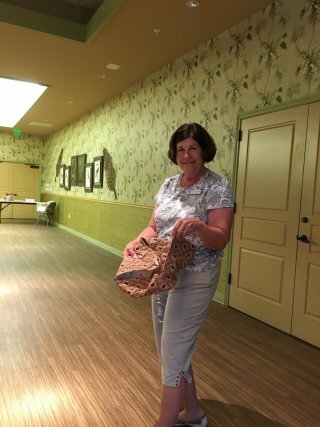 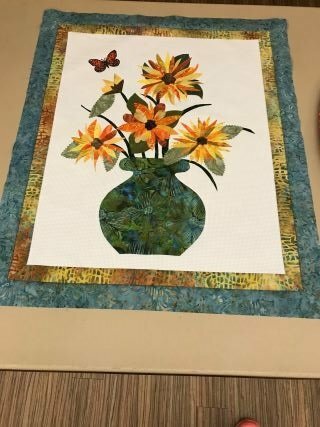 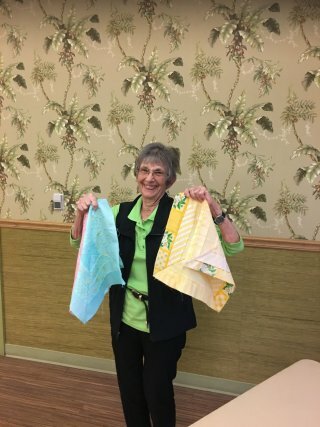 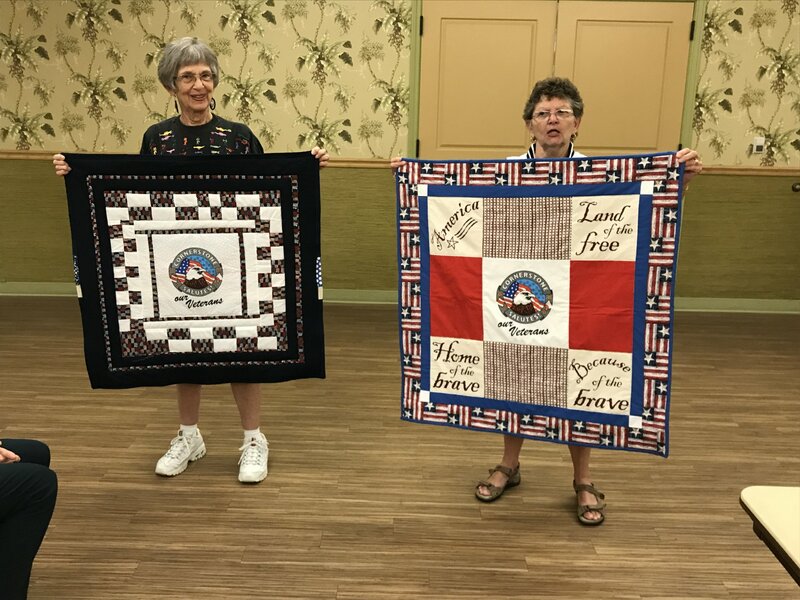 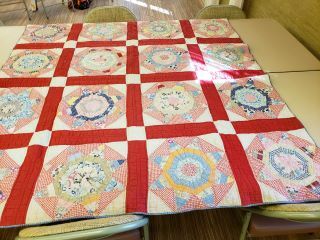 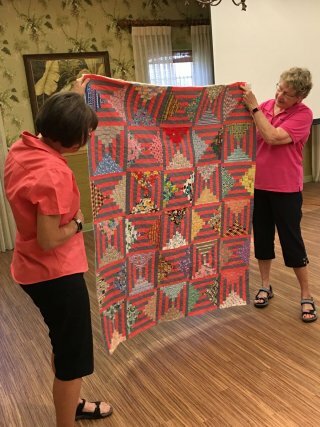 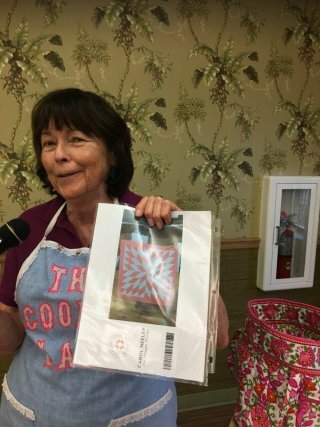 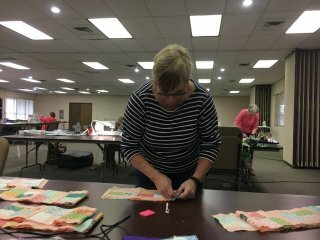 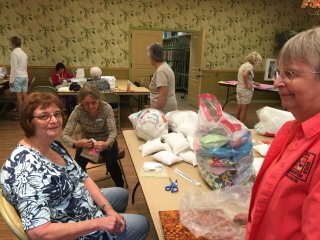 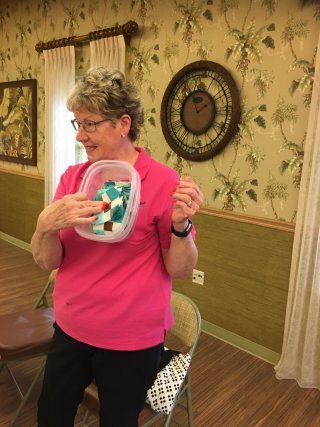 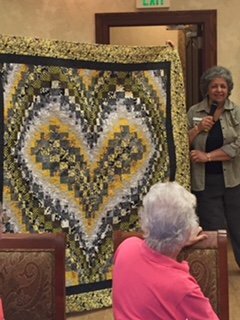 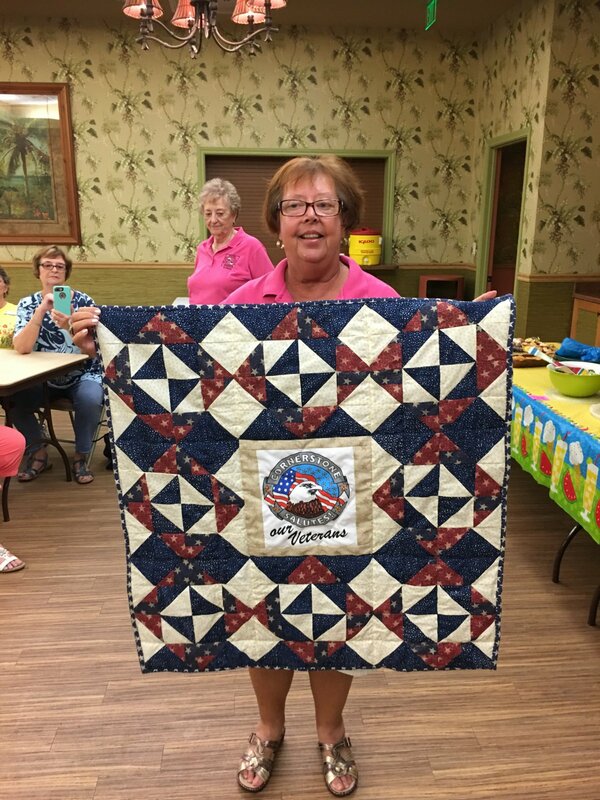 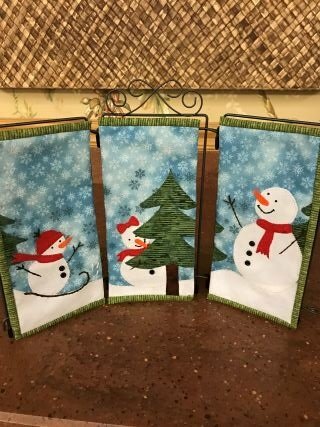 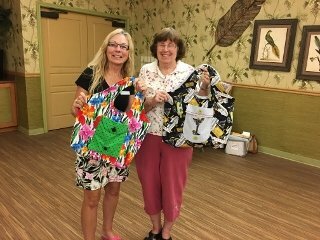 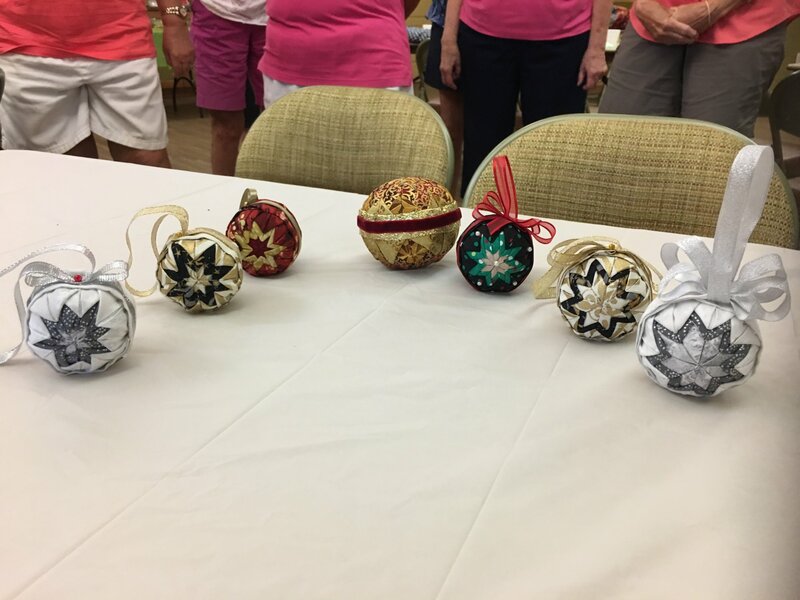 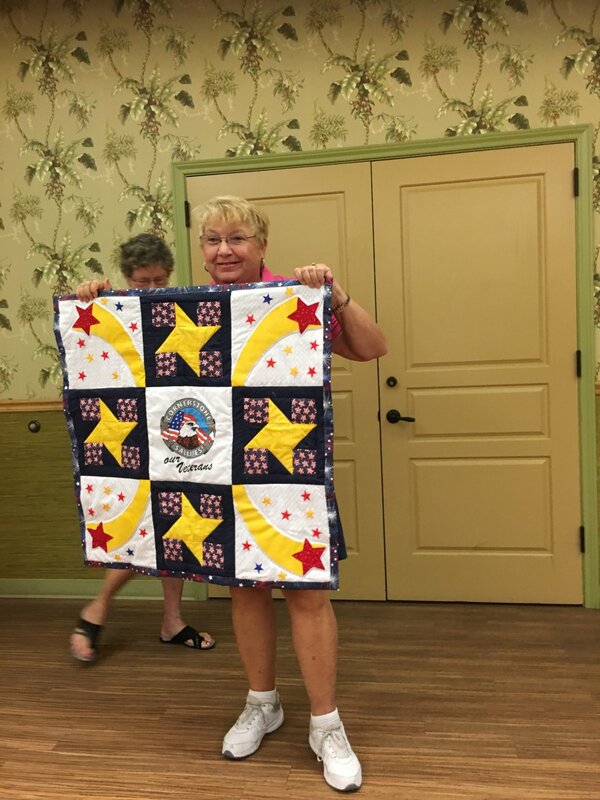 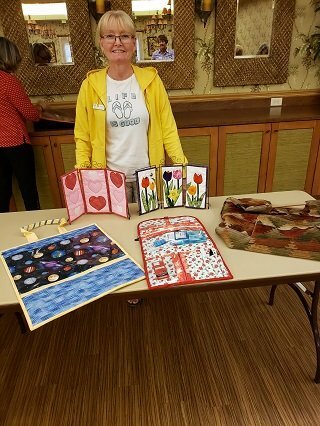 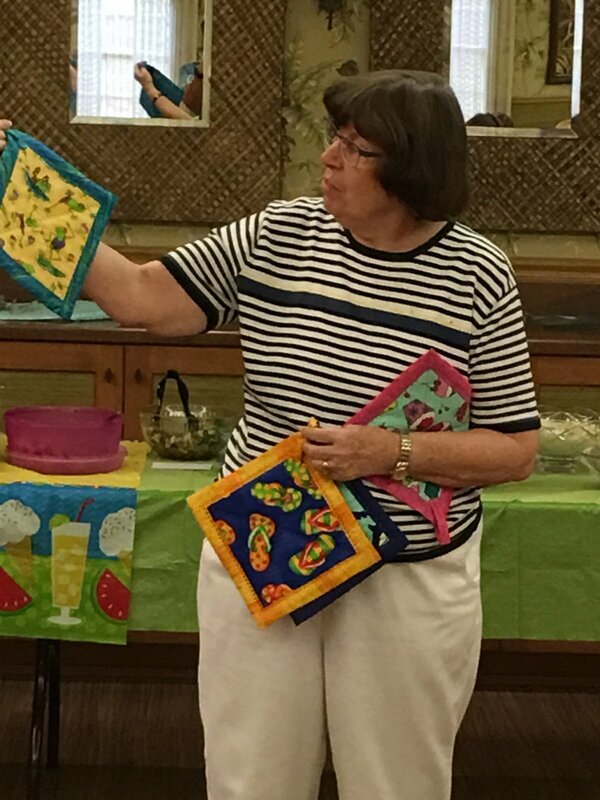 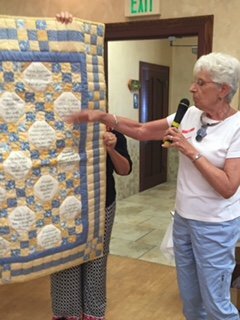 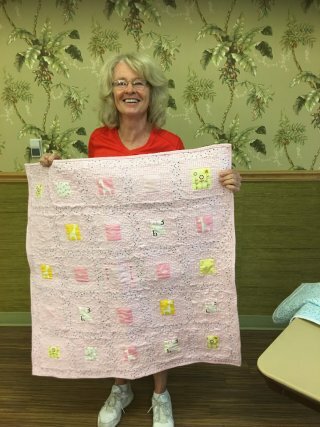 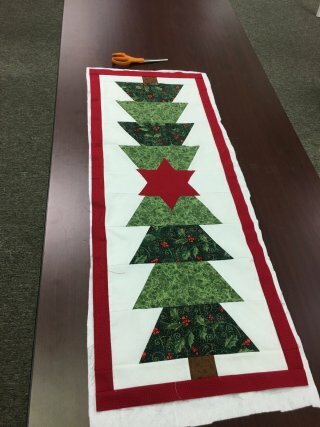 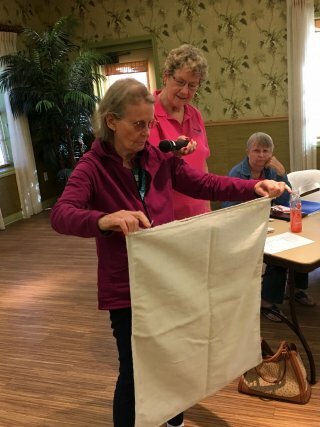 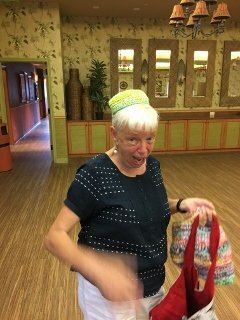 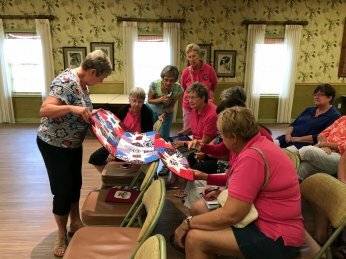 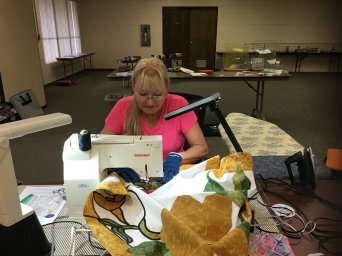 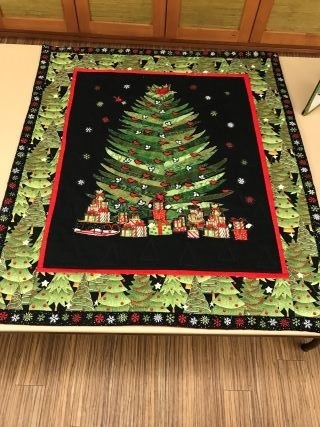 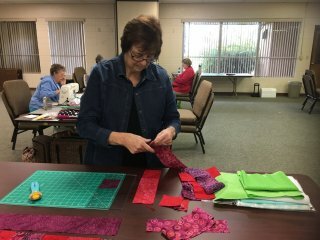 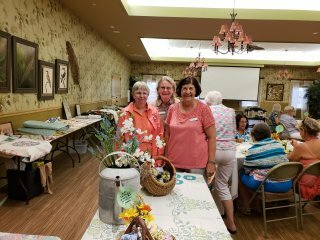 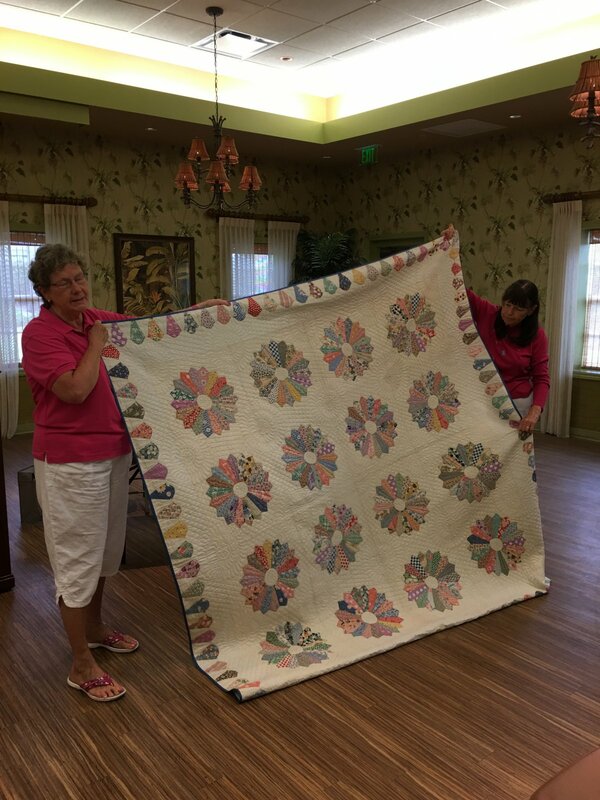 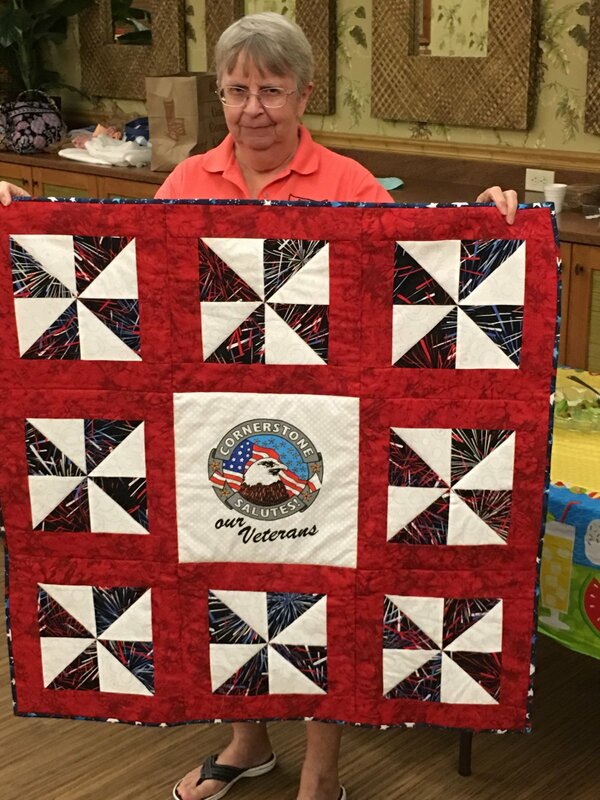 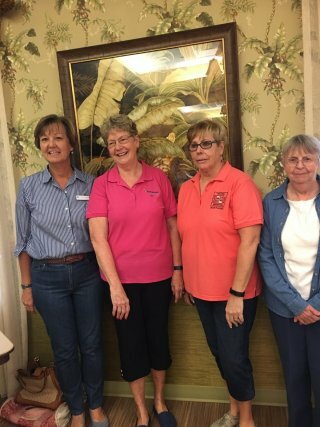 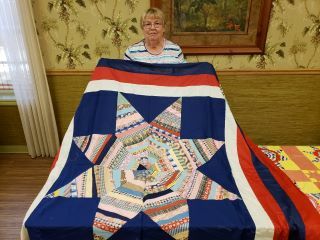 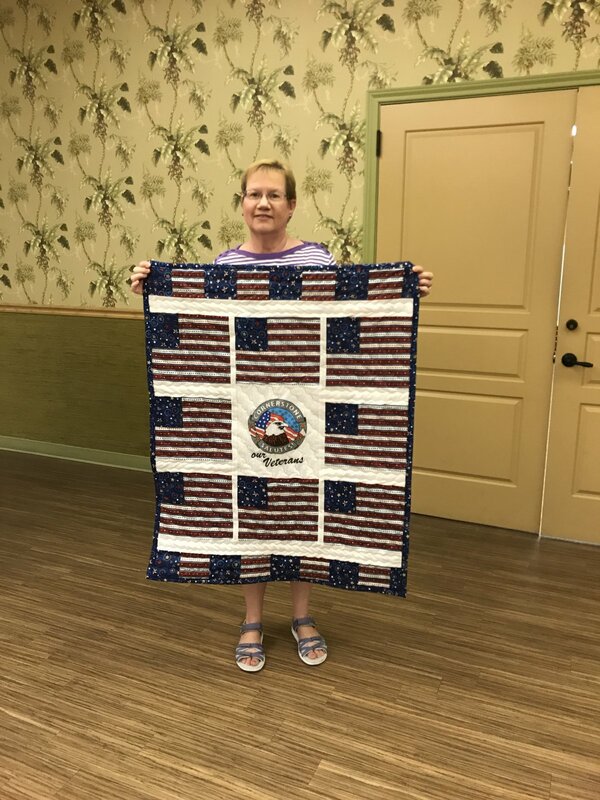 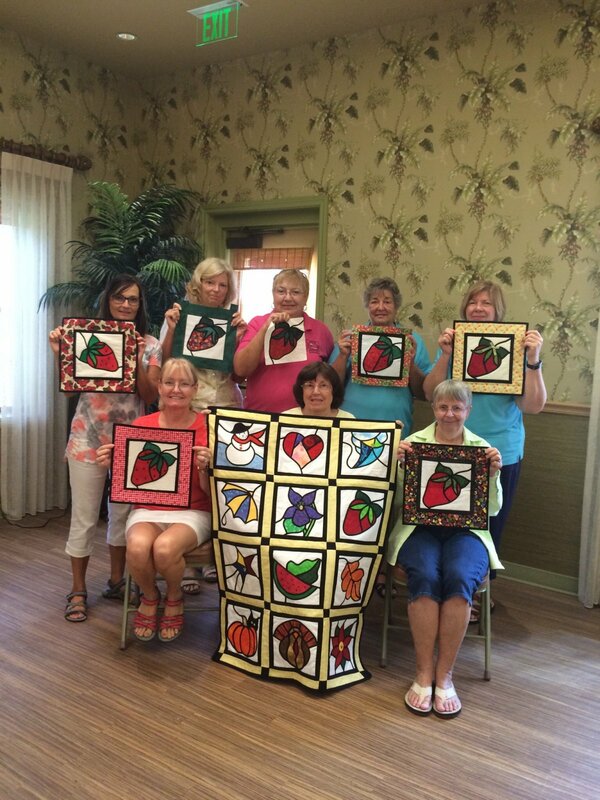 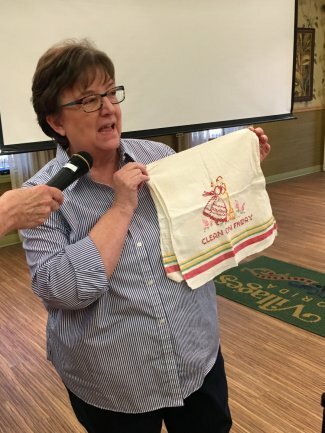 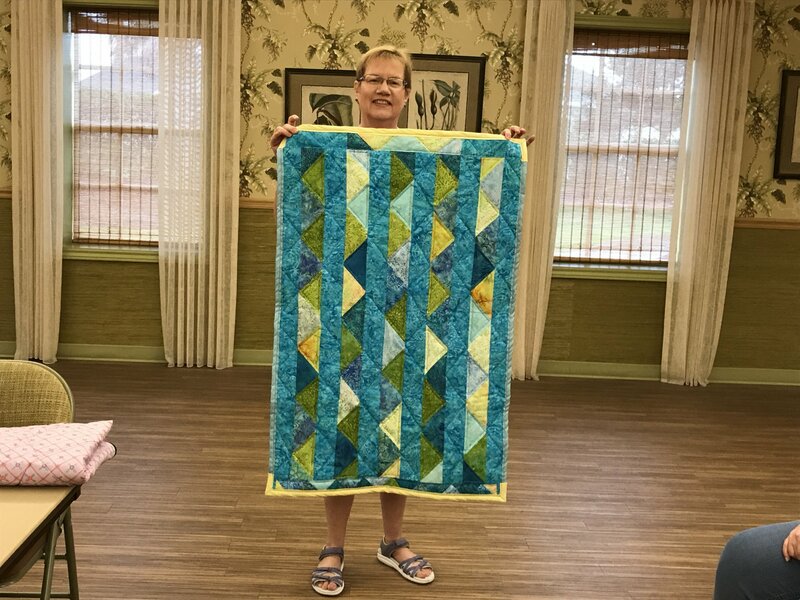 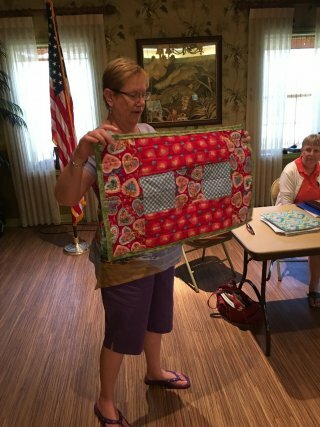 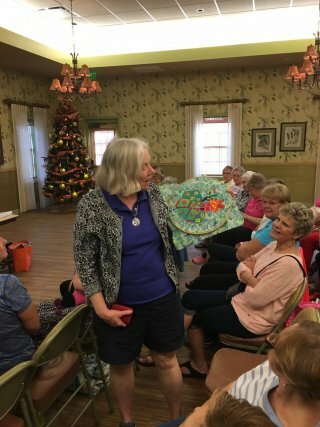 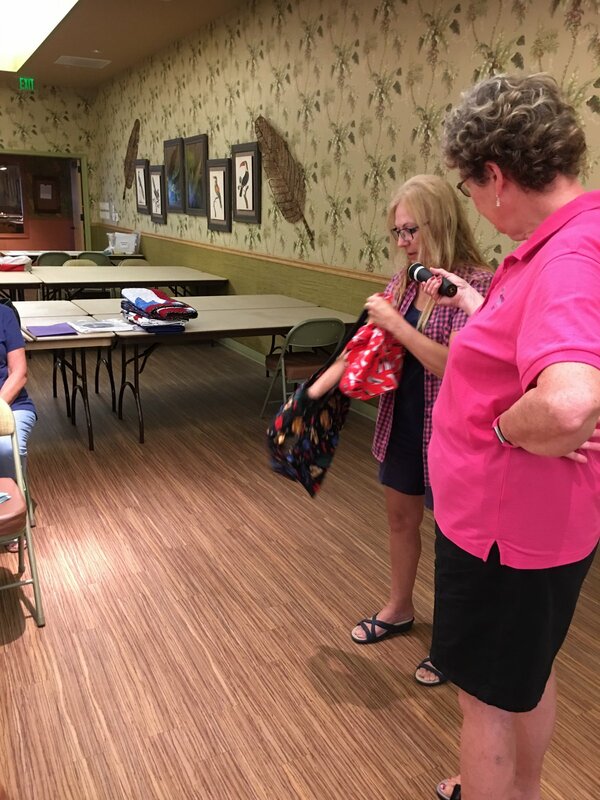 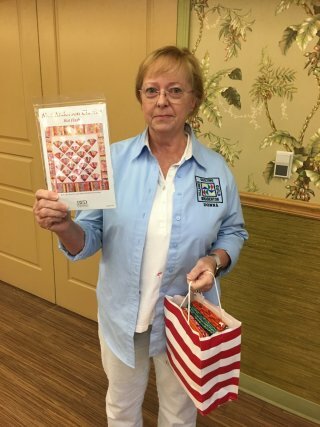 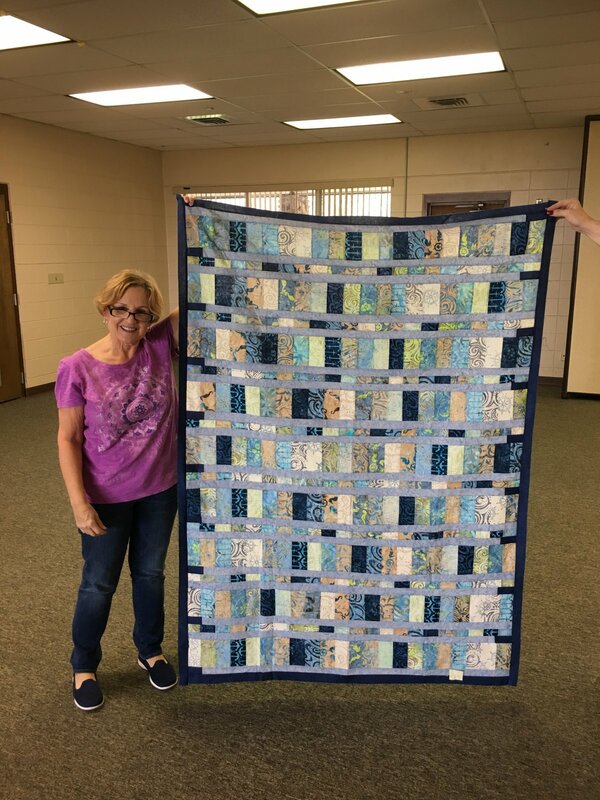 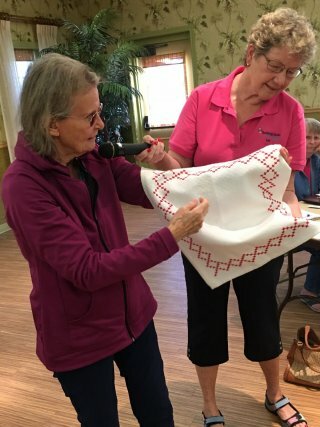 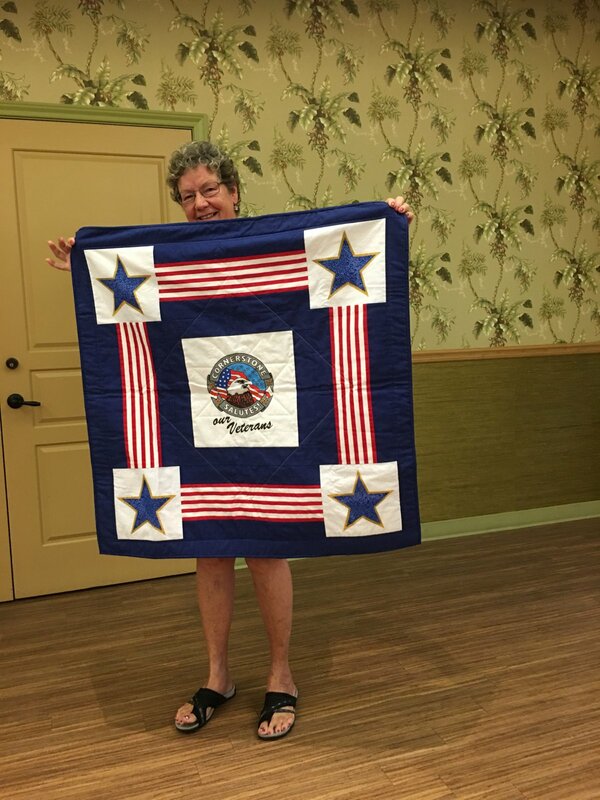 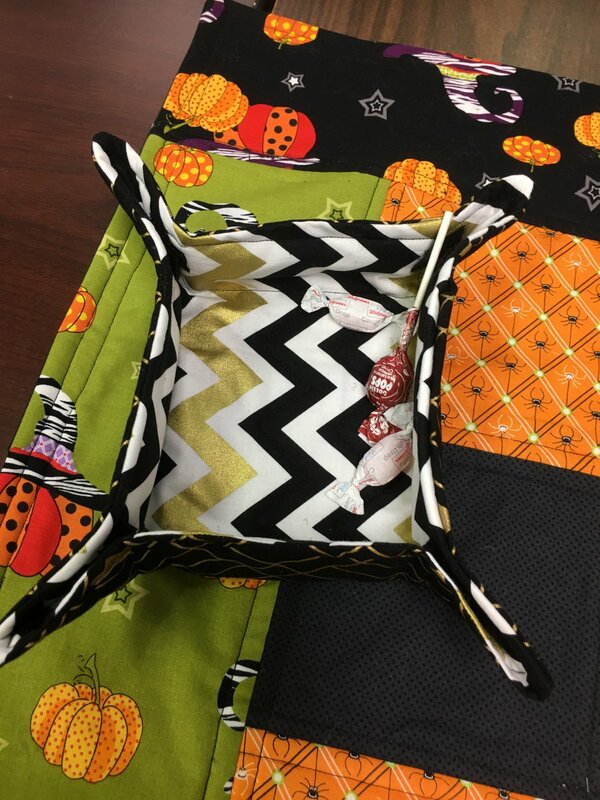 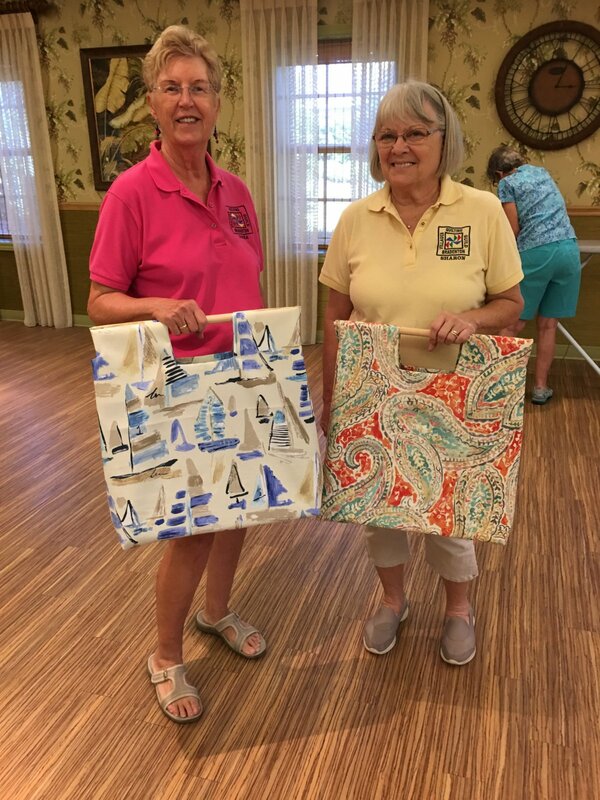 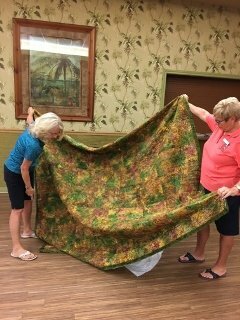 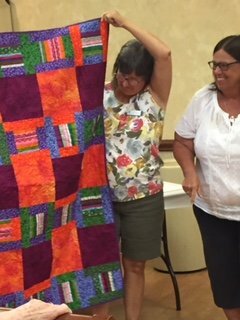 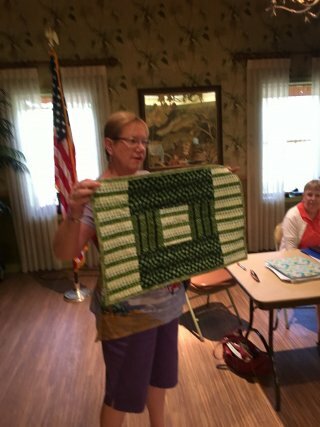 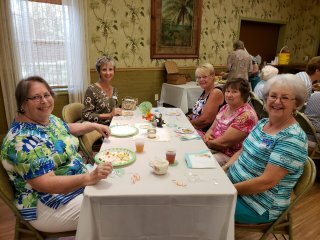 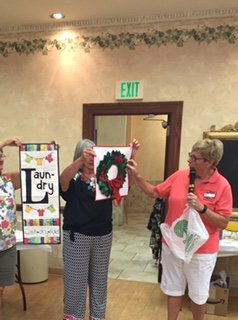 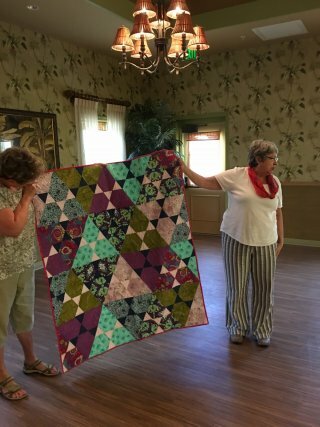 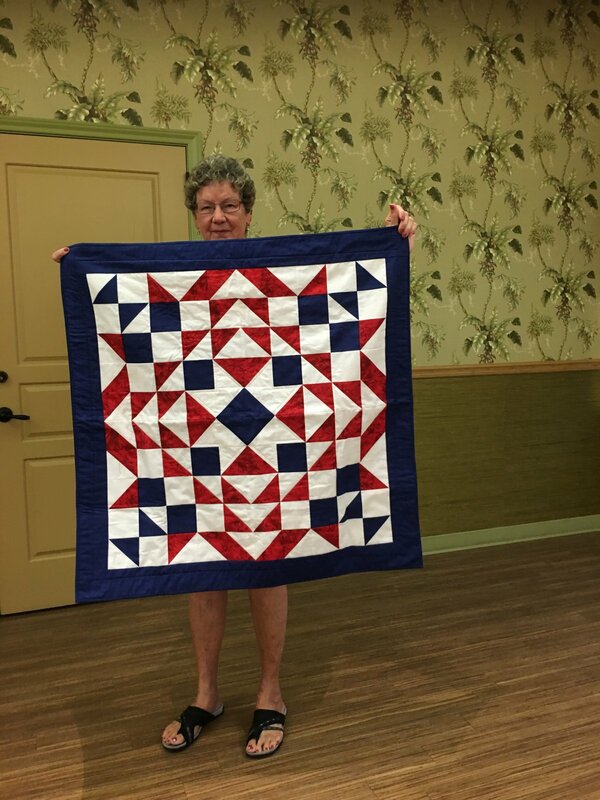 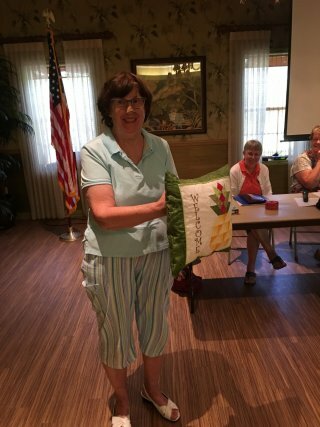 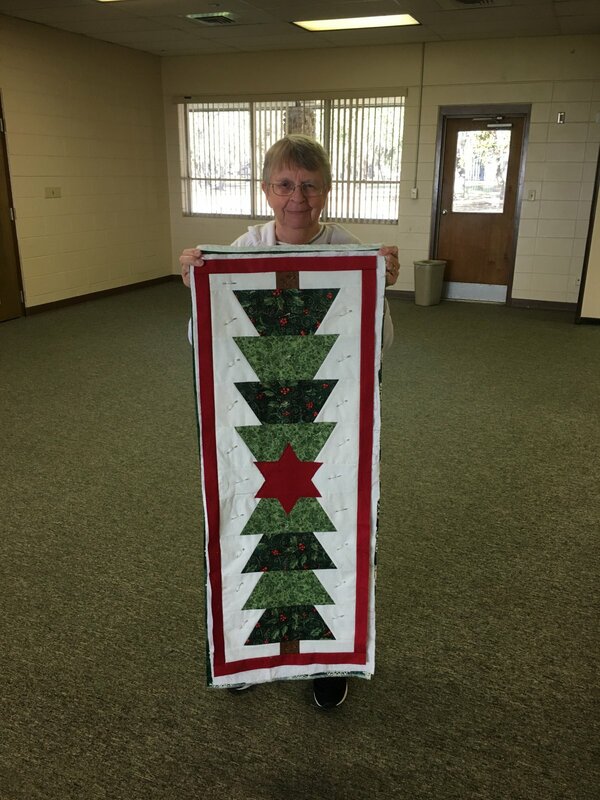 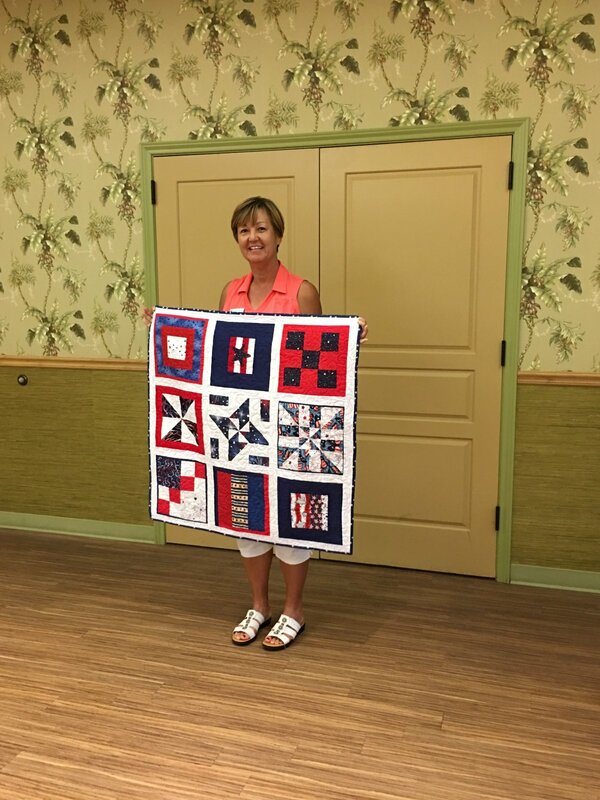 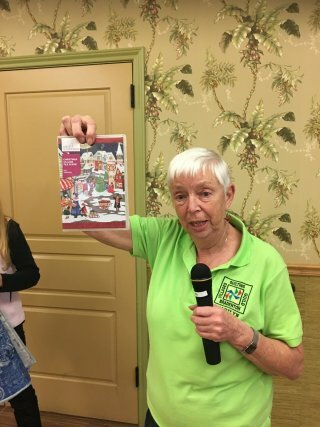 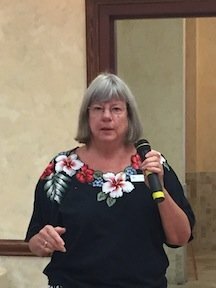 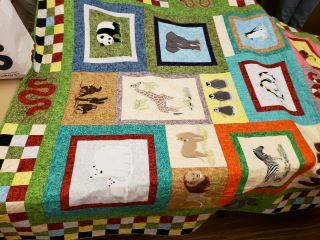 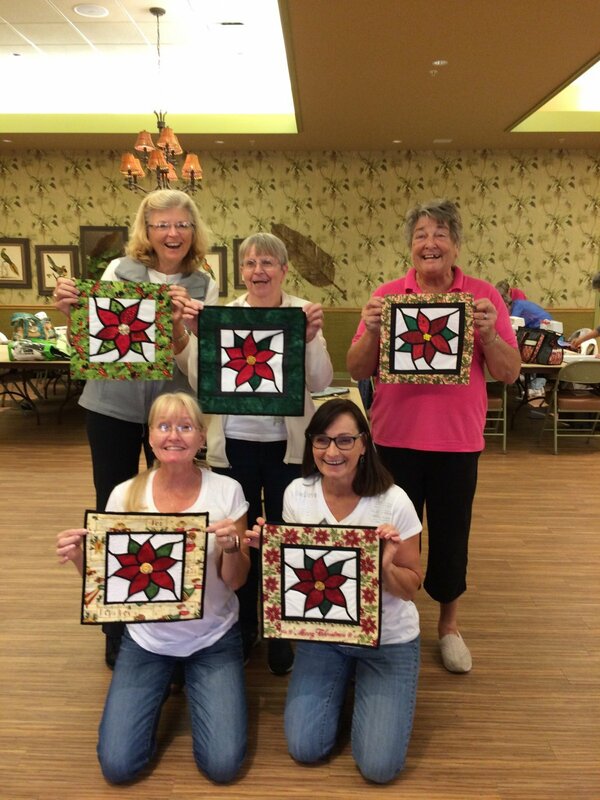 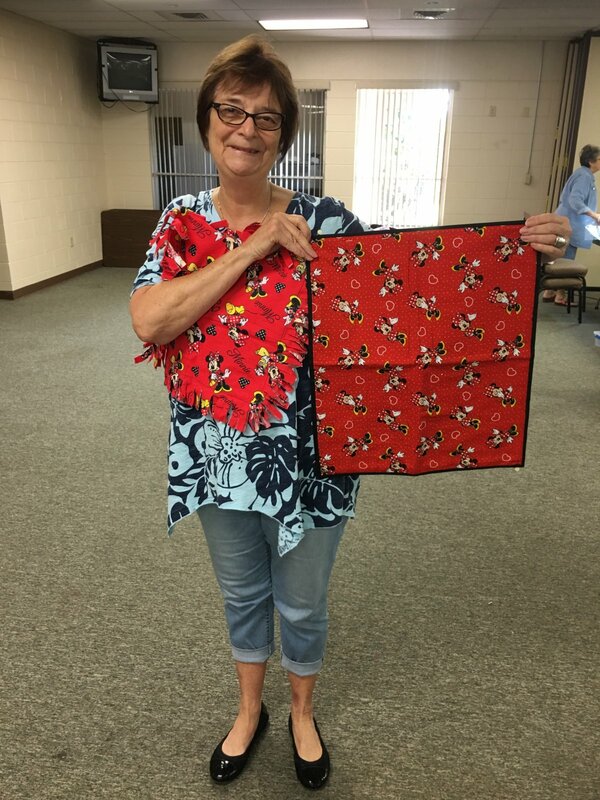 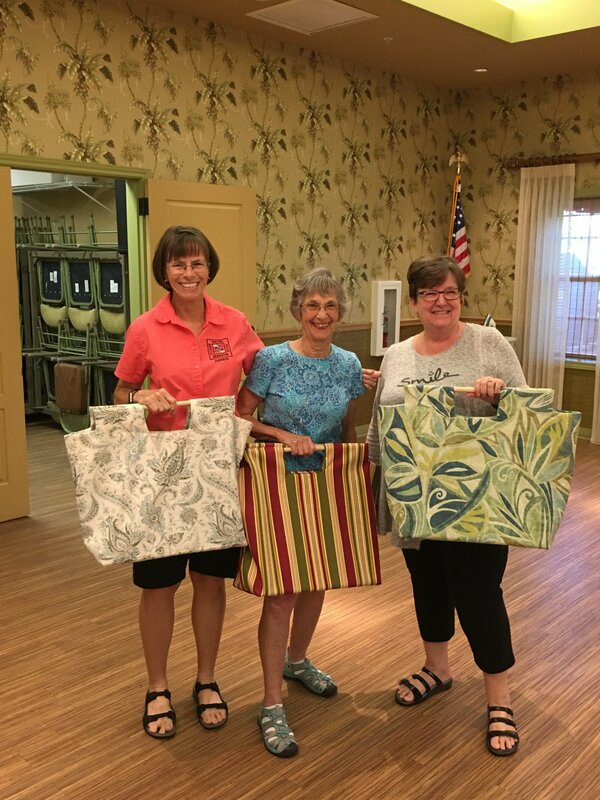 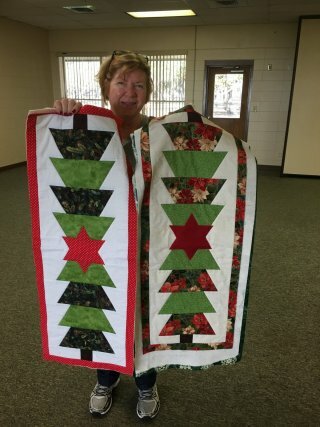 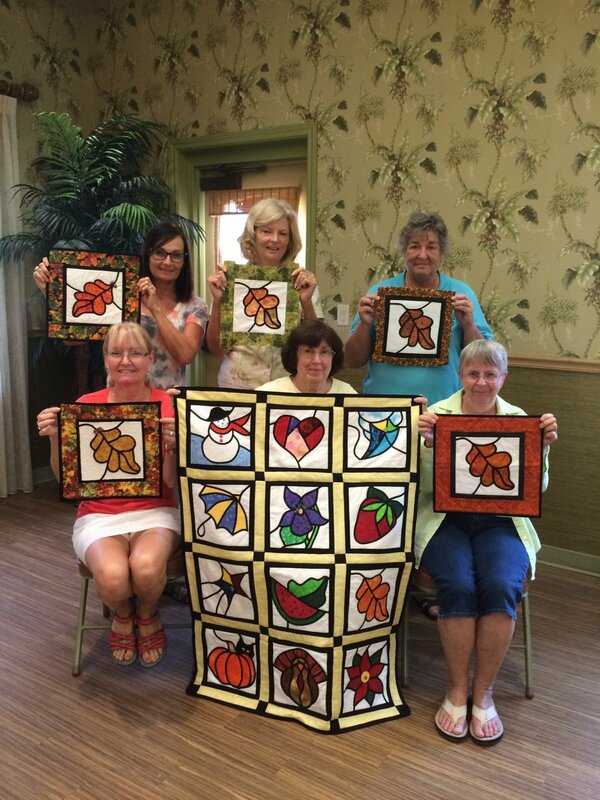 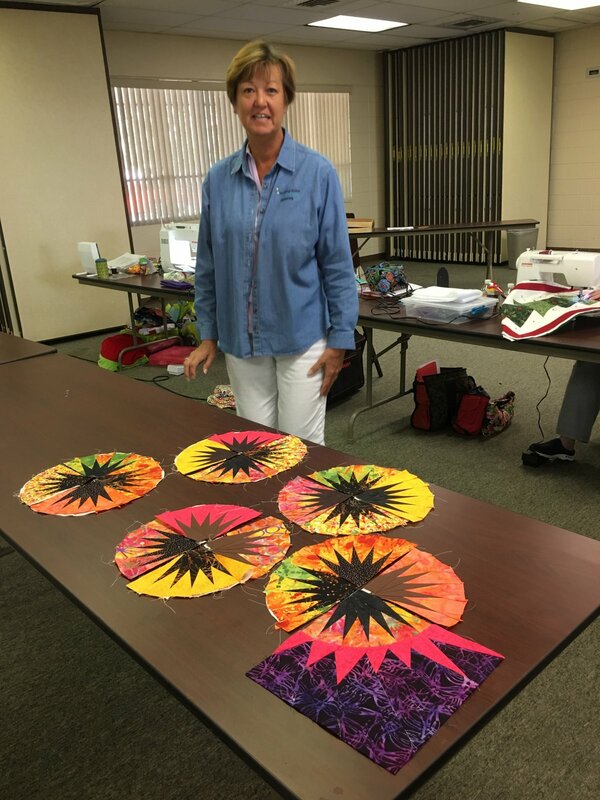 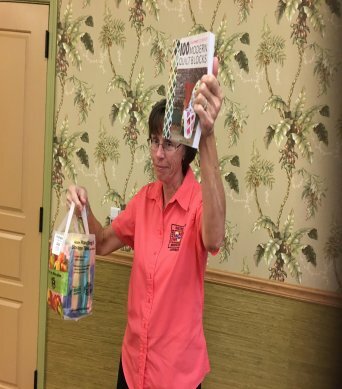 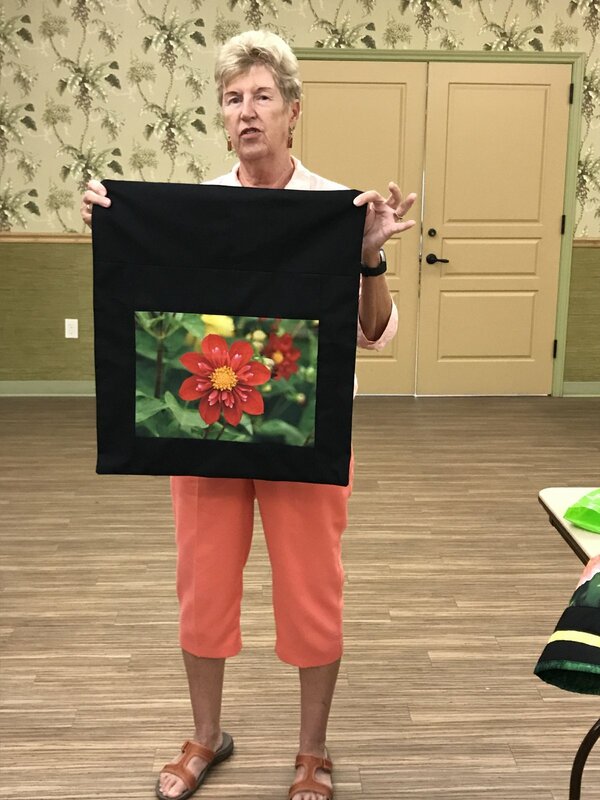 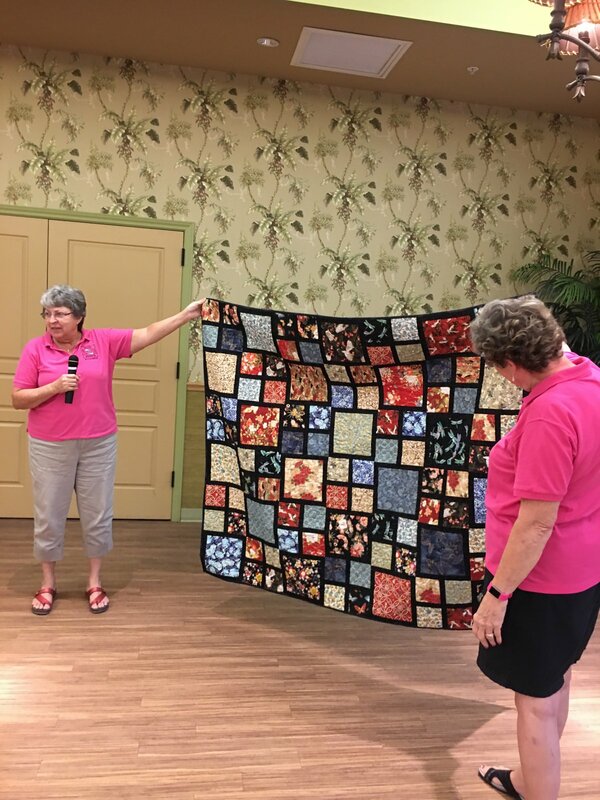 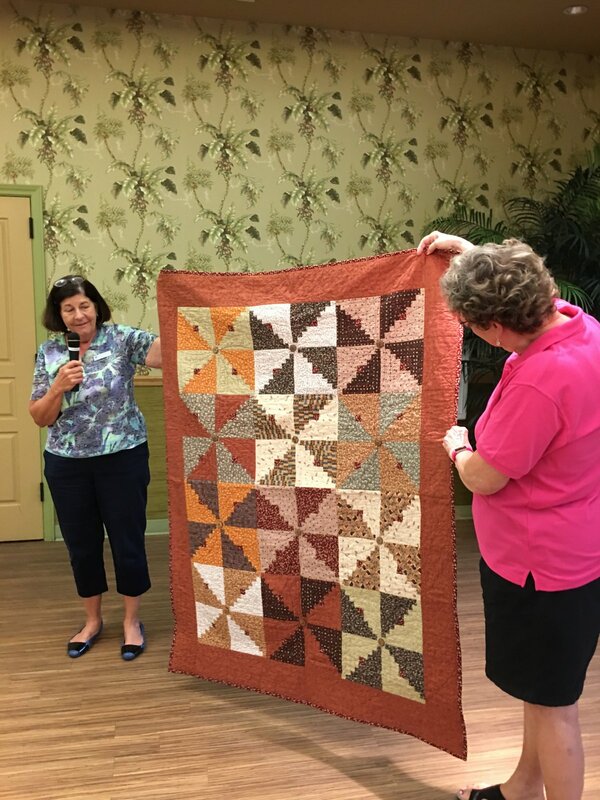 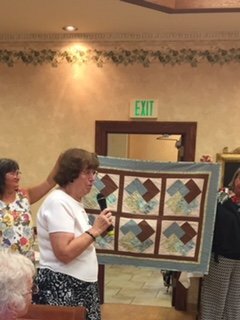 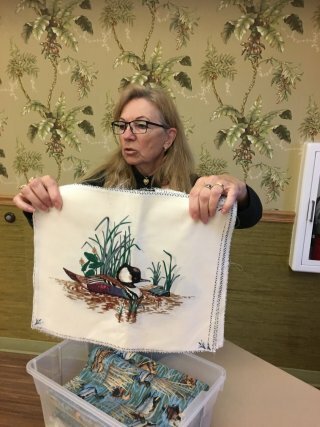 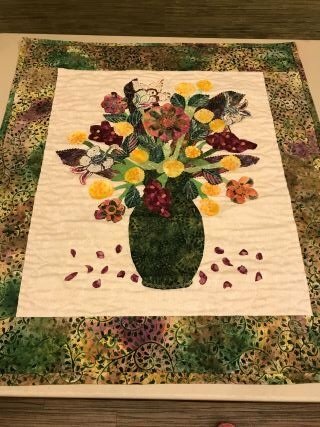 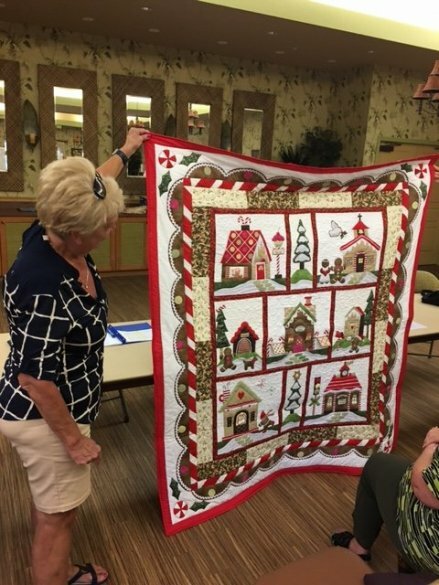 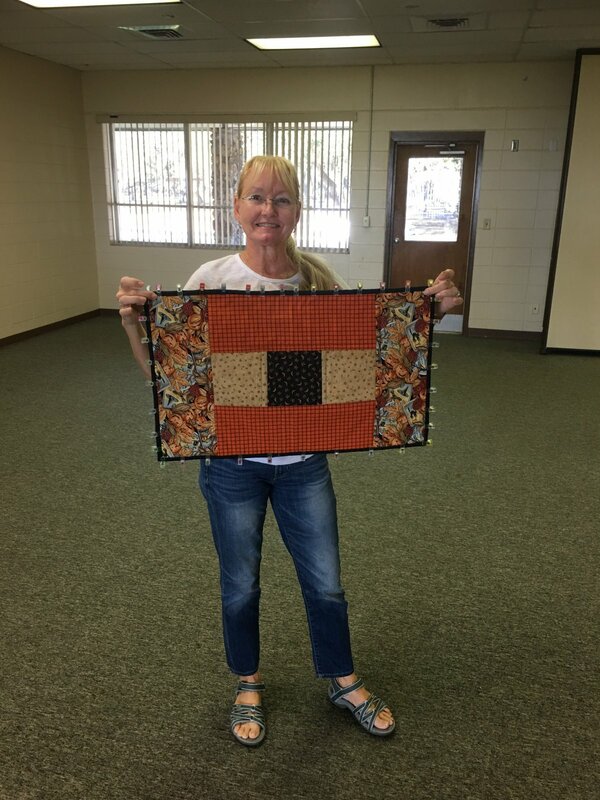 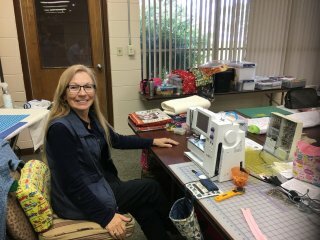 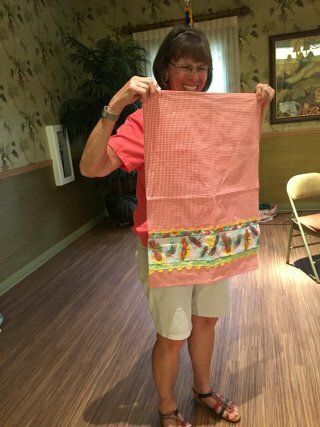 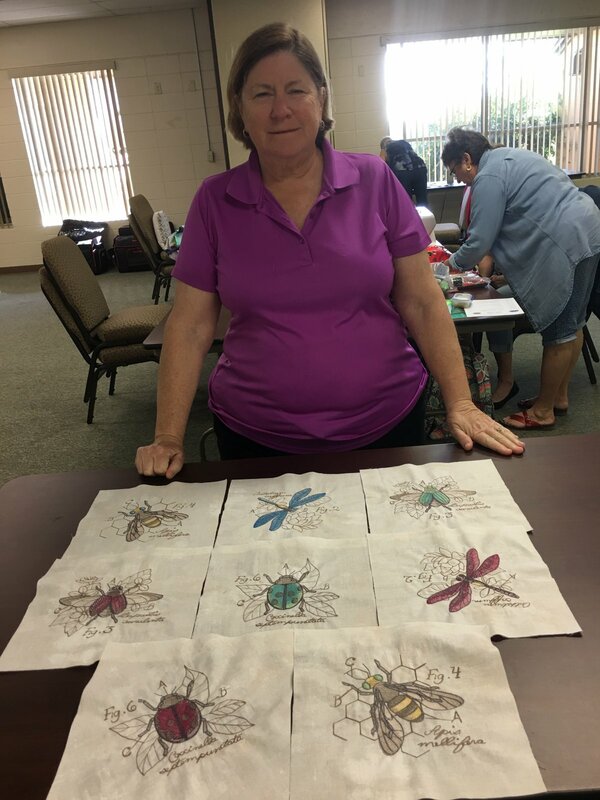 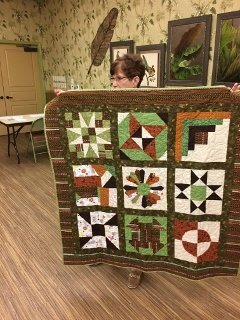 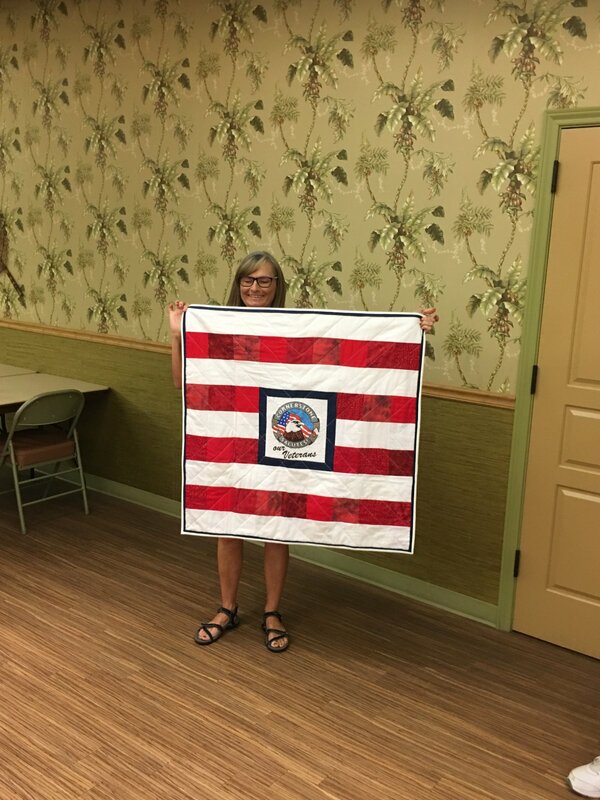 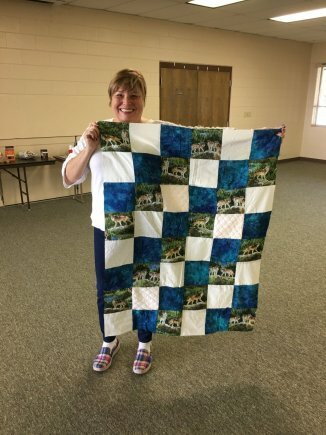 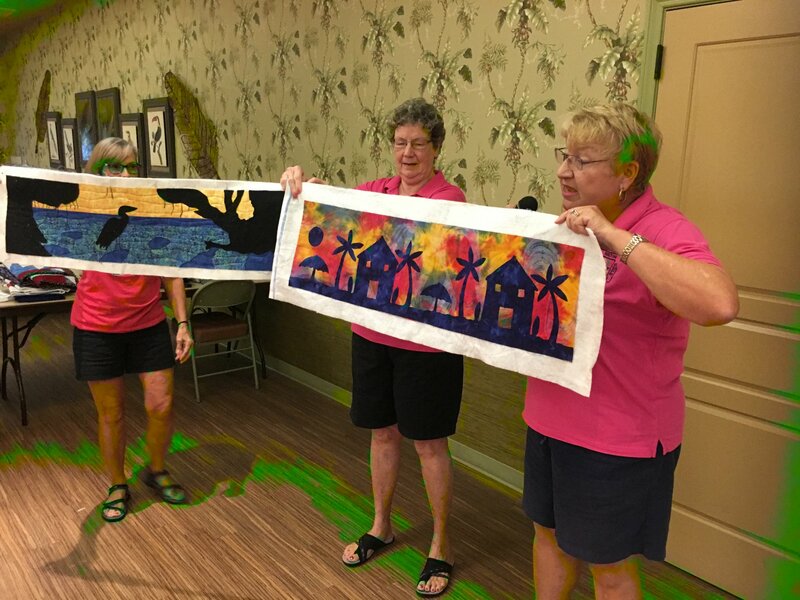 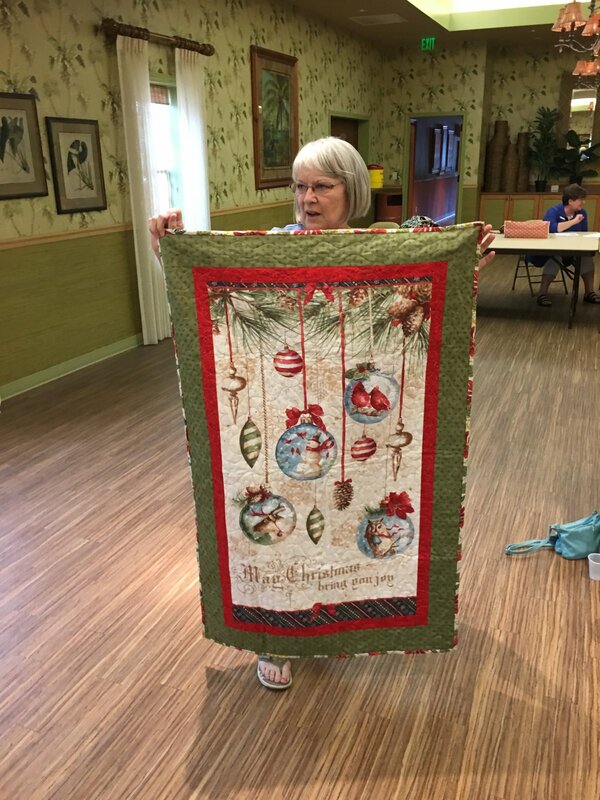 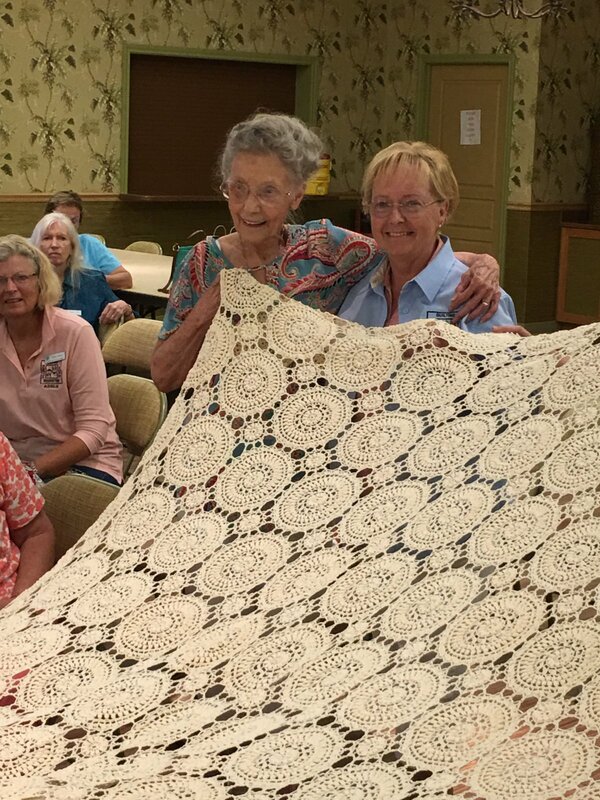 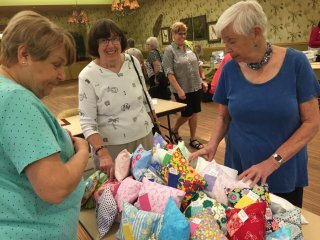 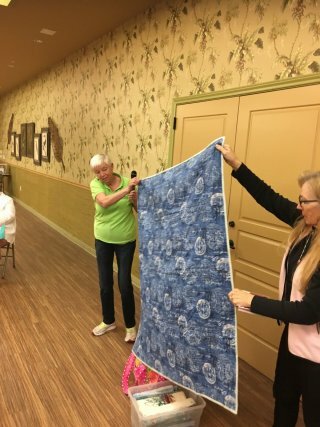 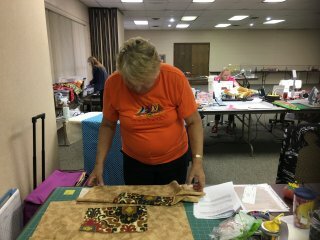 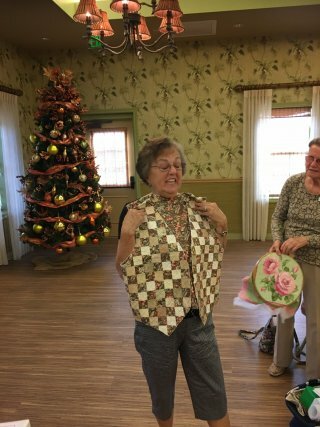 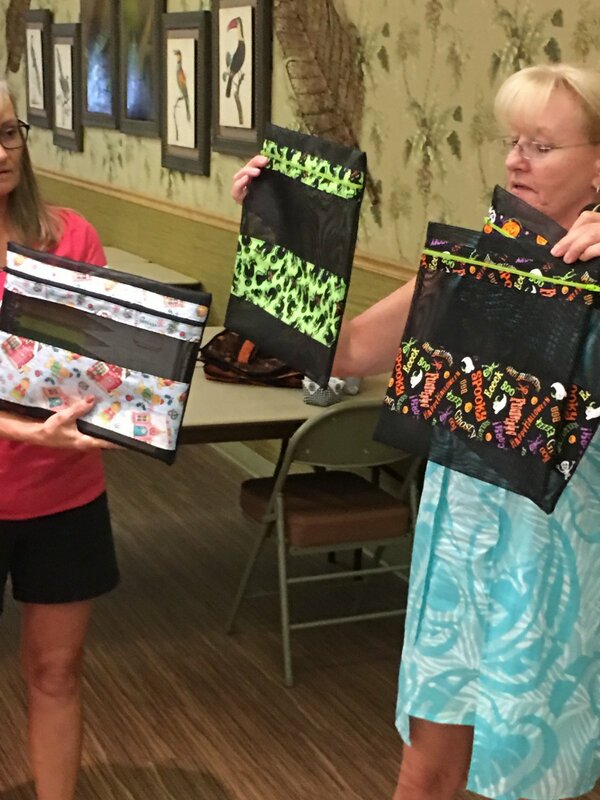 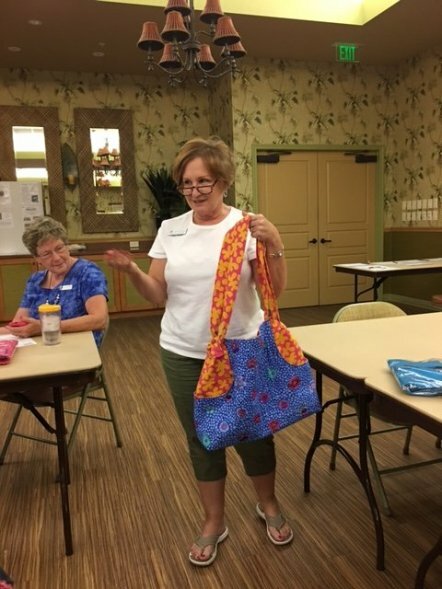 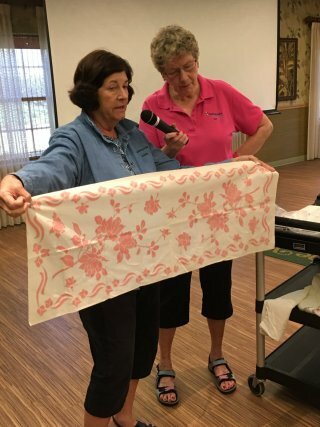 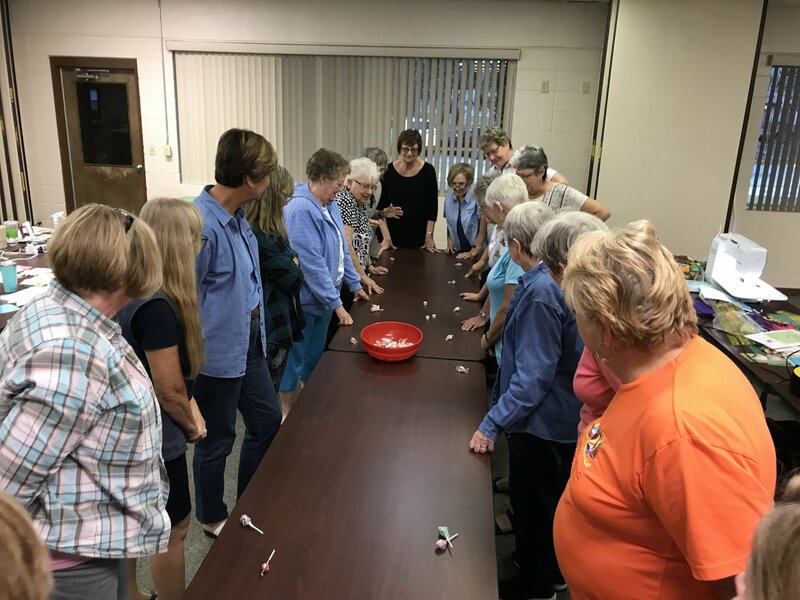 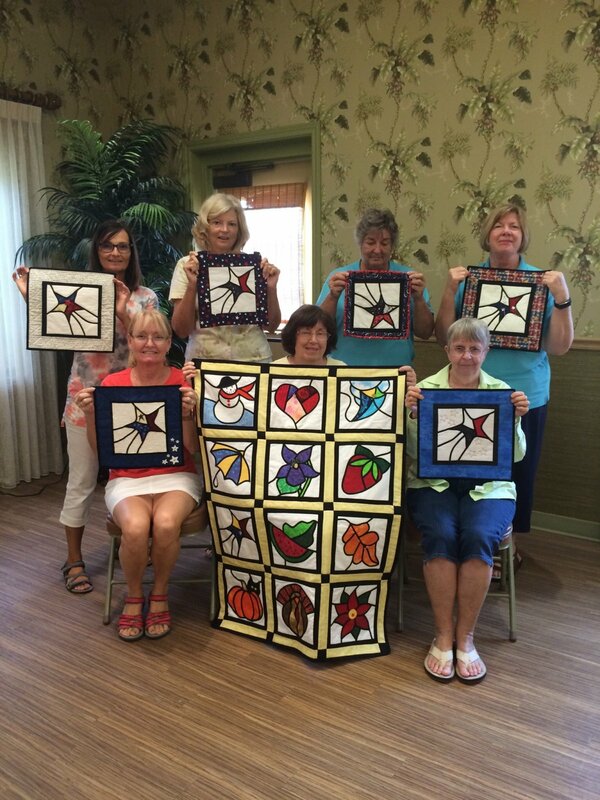 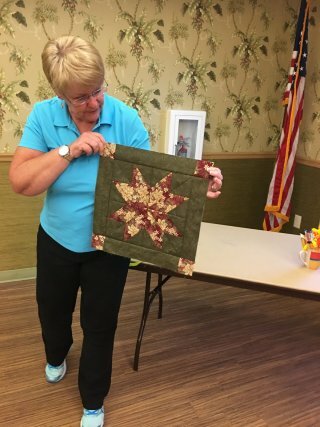 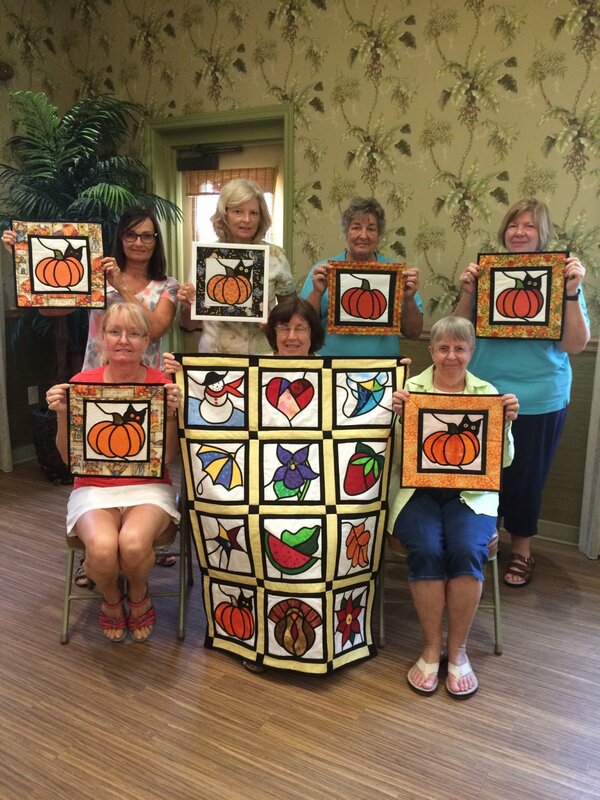 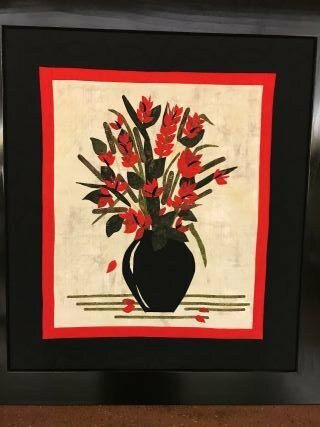 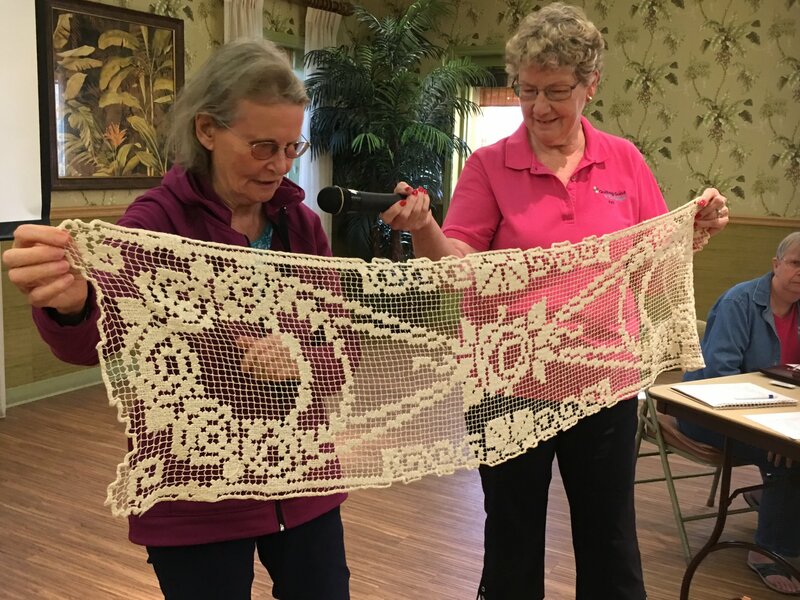 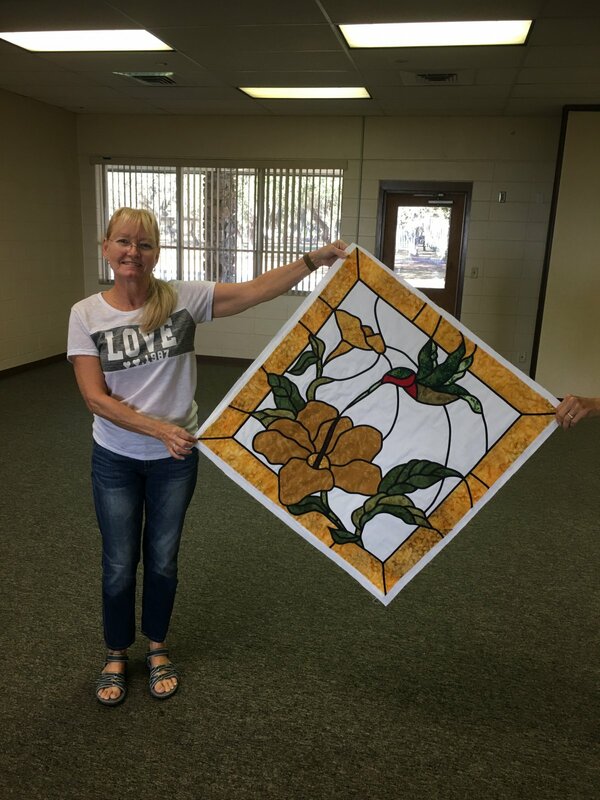 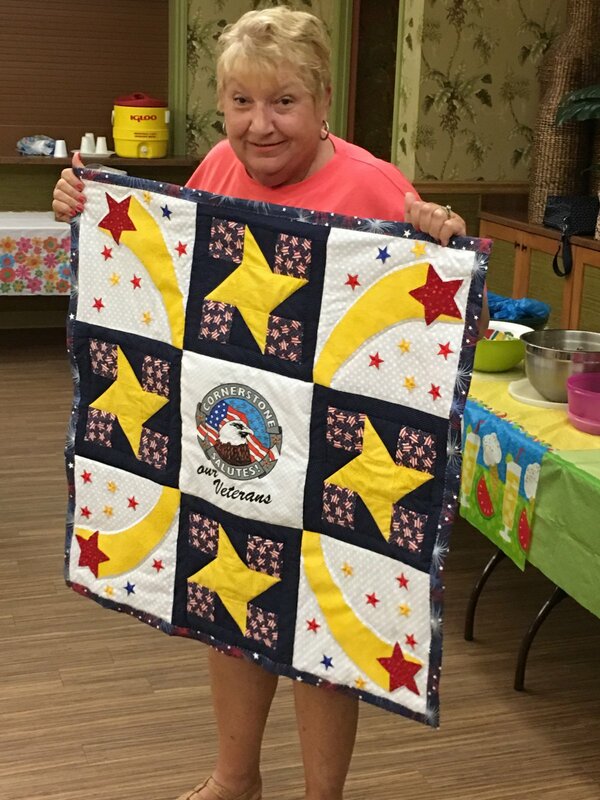 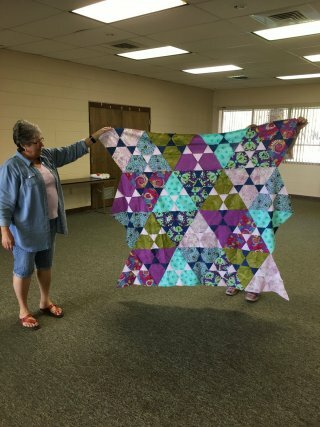 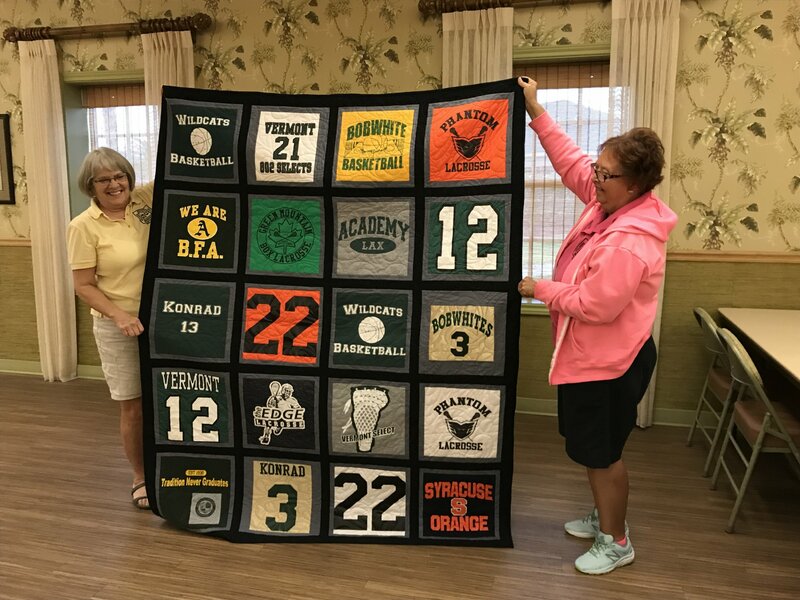 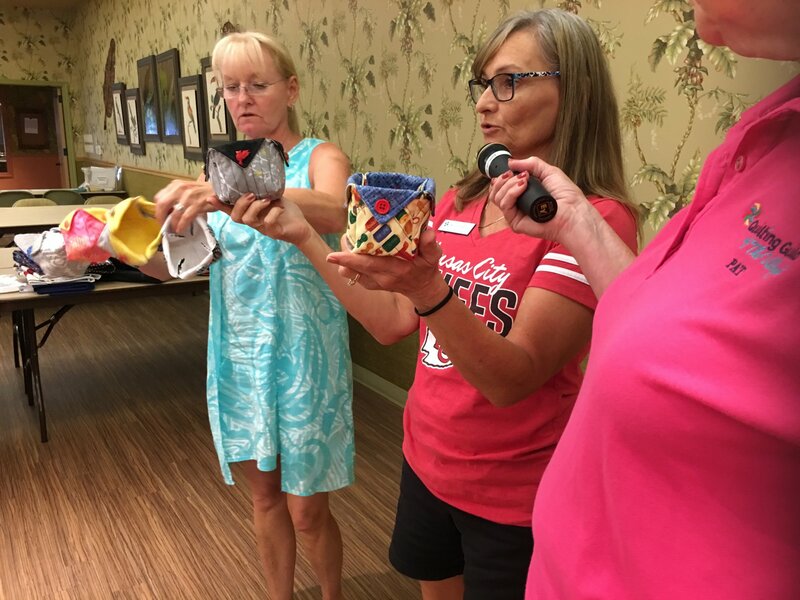 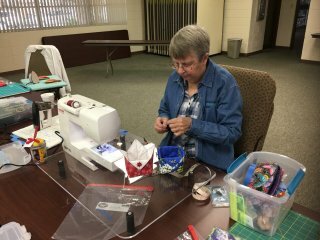 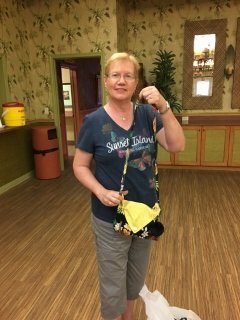 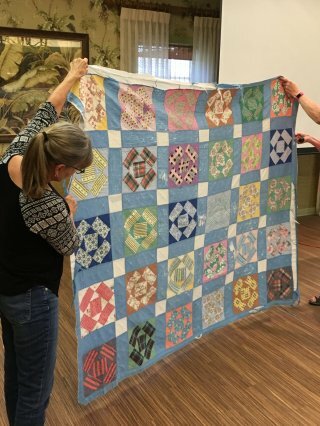 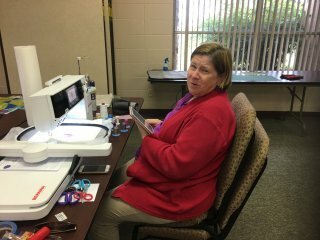 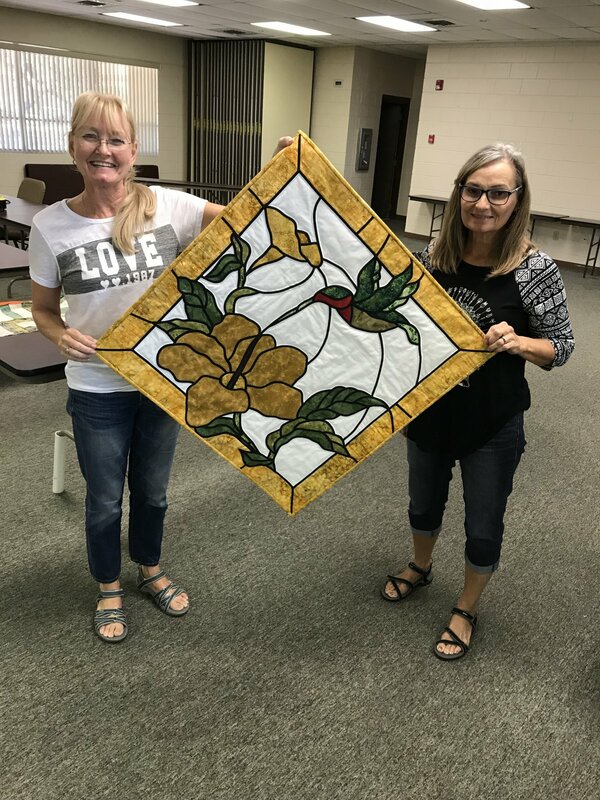 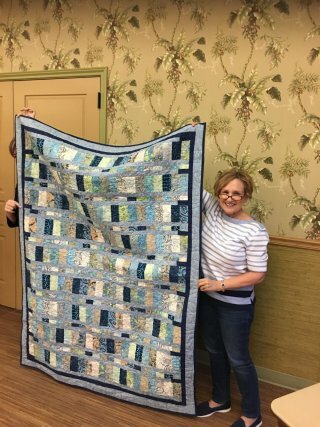 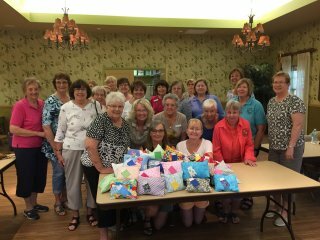 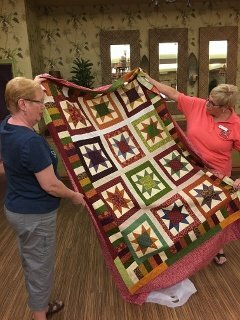 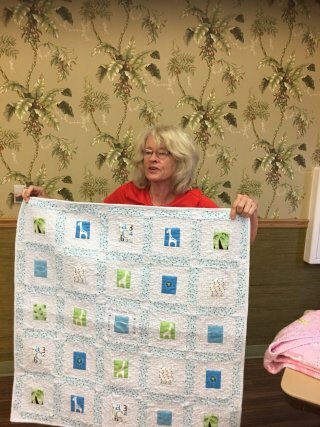 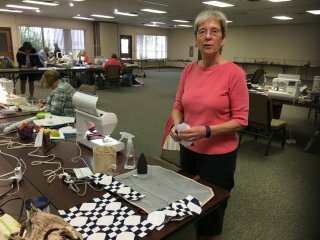 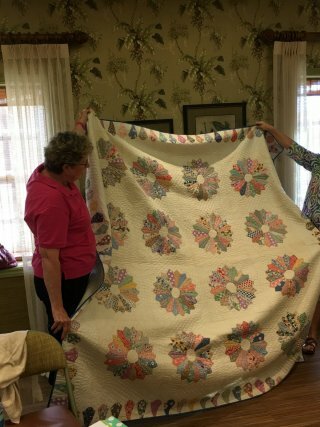 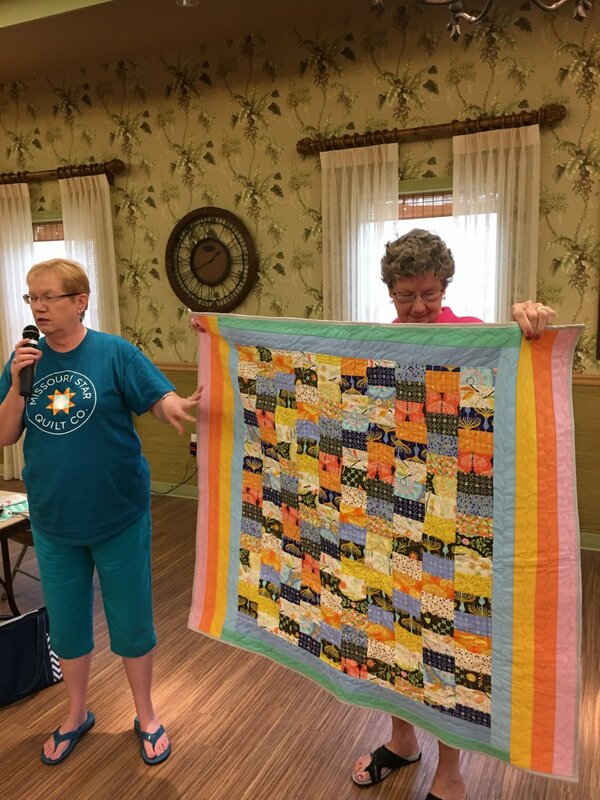 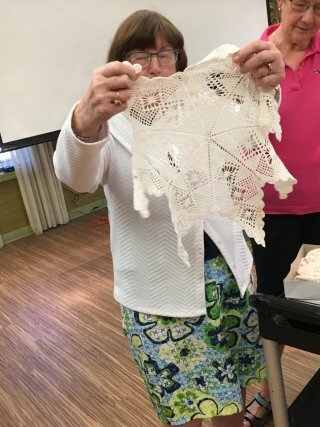 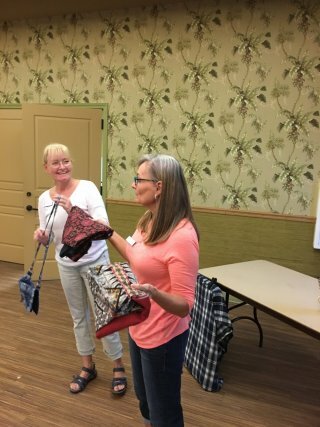 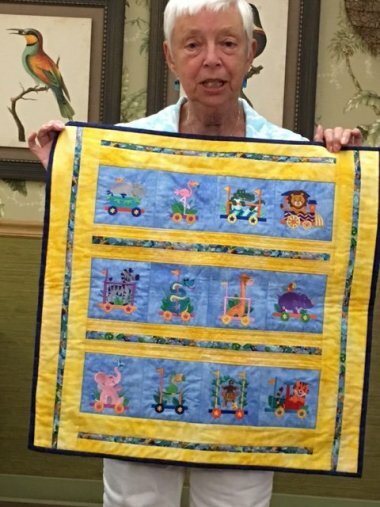 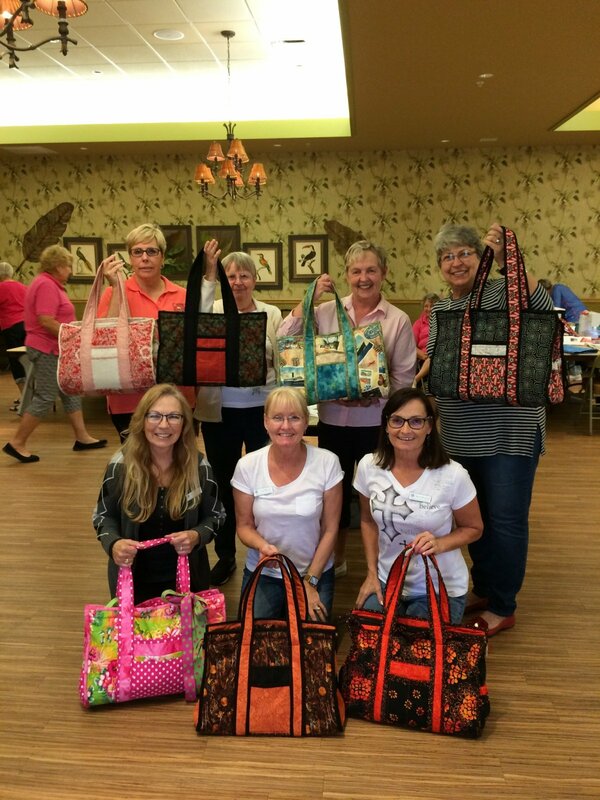 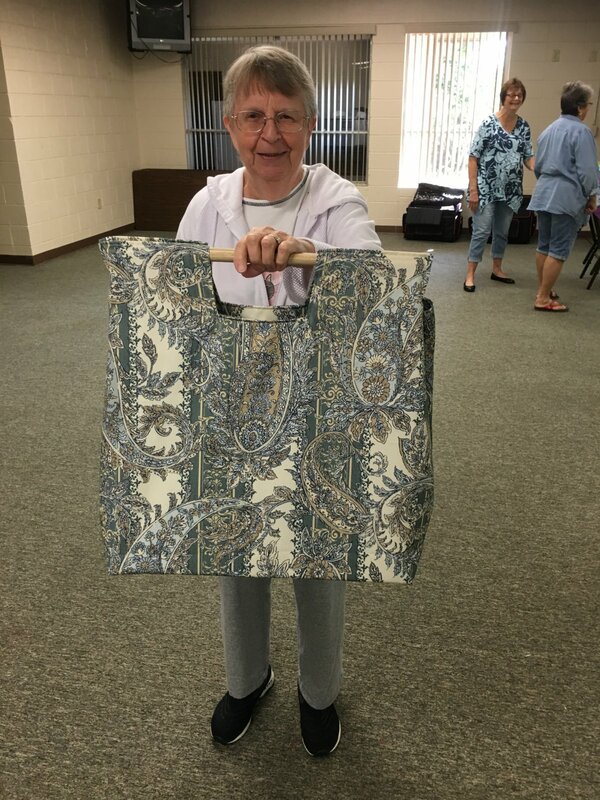 May 14th - Scrap Bag Class - taught by Sherry D.
February 2019 "Show 'n Tell"
Bradenton Show & Tell Theme "Anything Vintage and Cutter Quilts"
Bradenton Business Meeting and Show & Tell and Projects to Finish this Year!!! 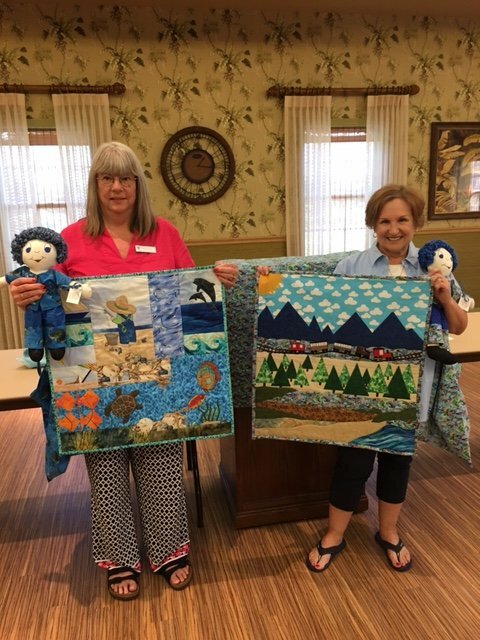 Joint meeting between Bradenton and Piecemakers to announce the winners of the Giving Doll Quilt Challenge.